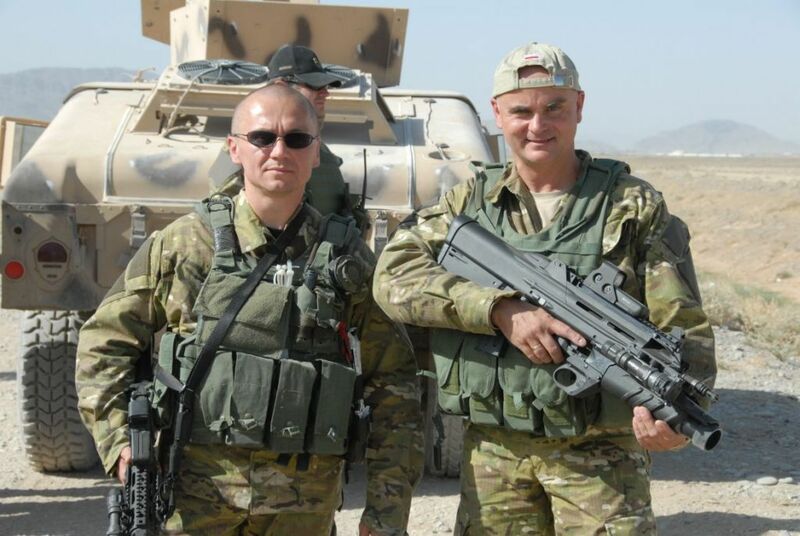 On a recent visit to the Polish Special Operations Command (POLSOFCOM) in Krakow, our Australian colleague and contributor Andrew Balcombe met some of the units that conduct SOF operations and interviewed the man in charge, Brigadier General Piotr Patalong. 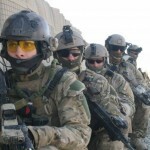 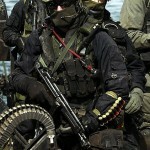 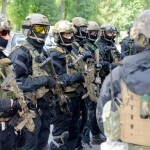 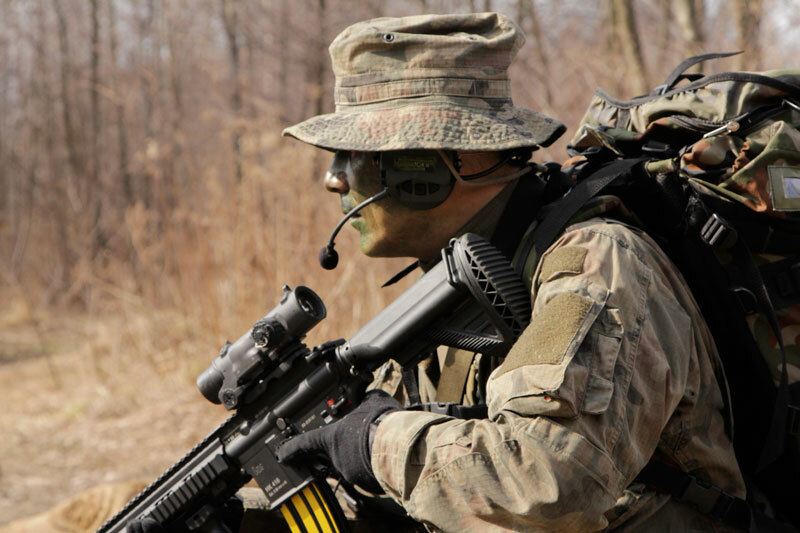 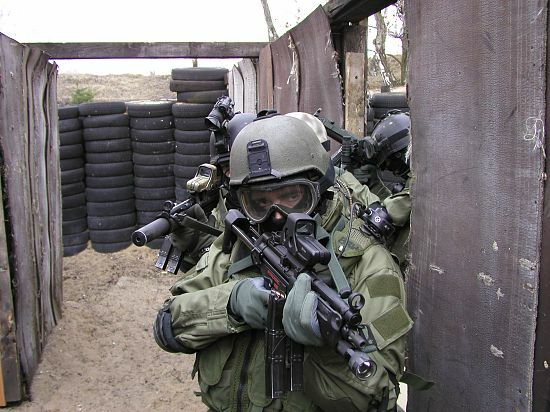 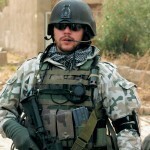 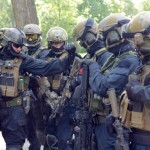 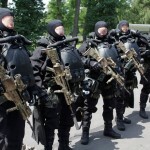 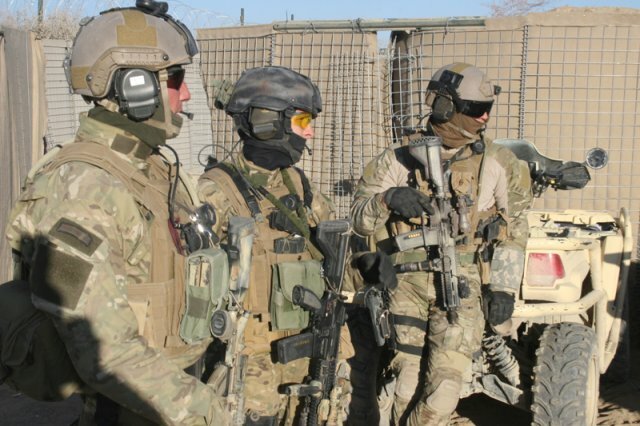 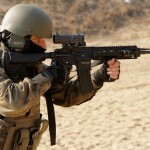 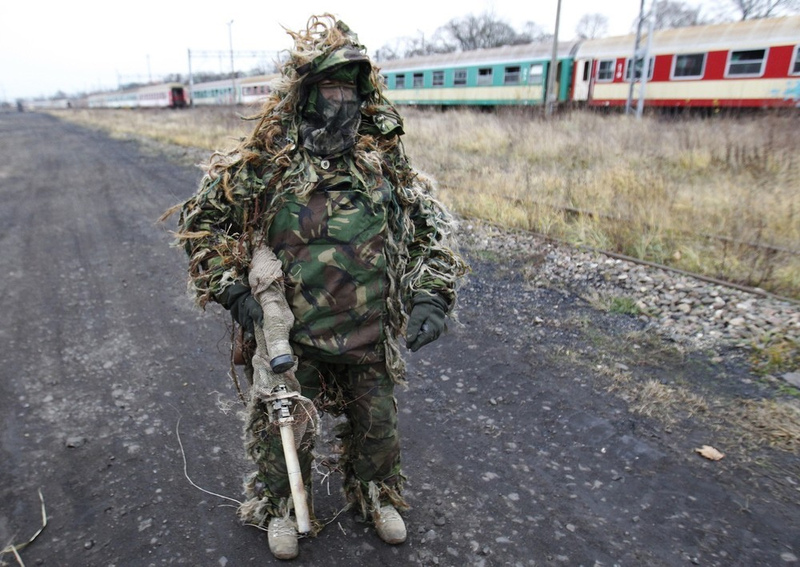 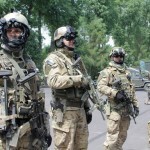 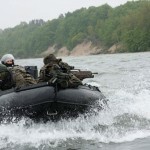 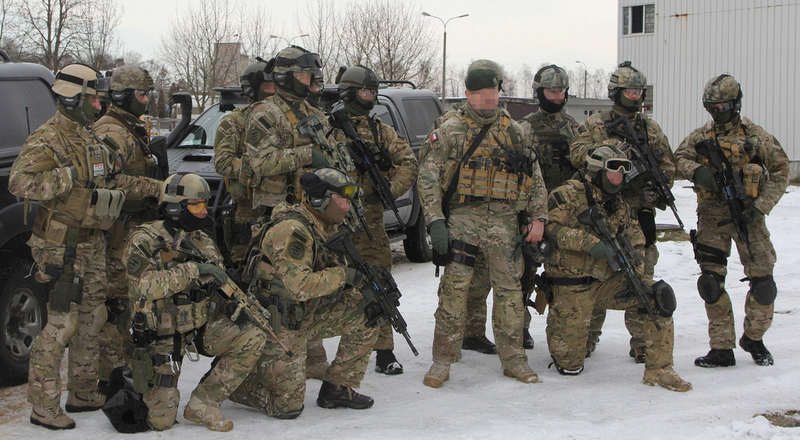 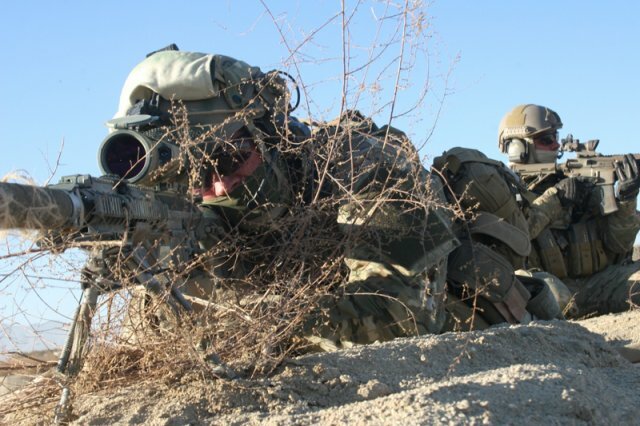 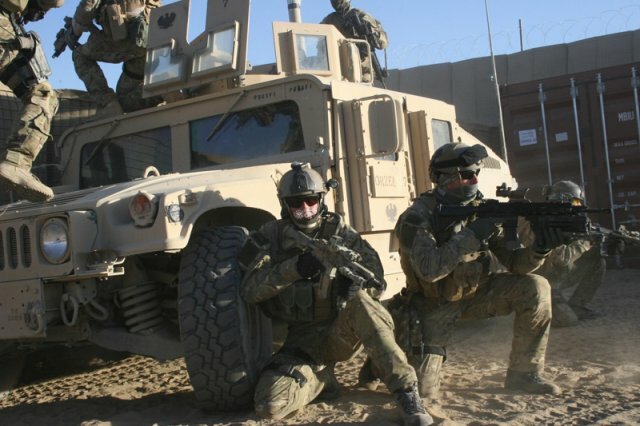 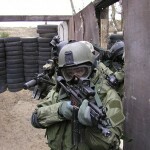 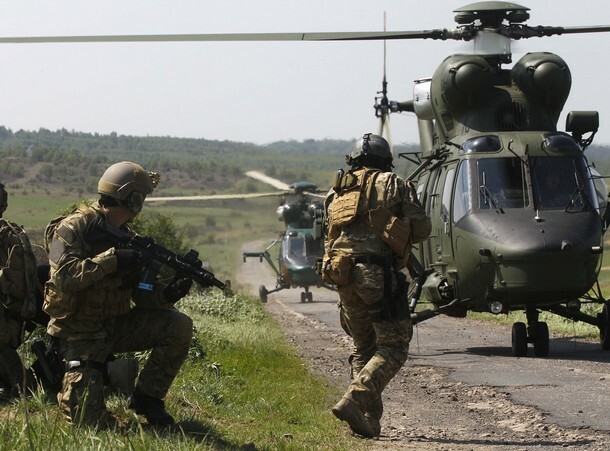 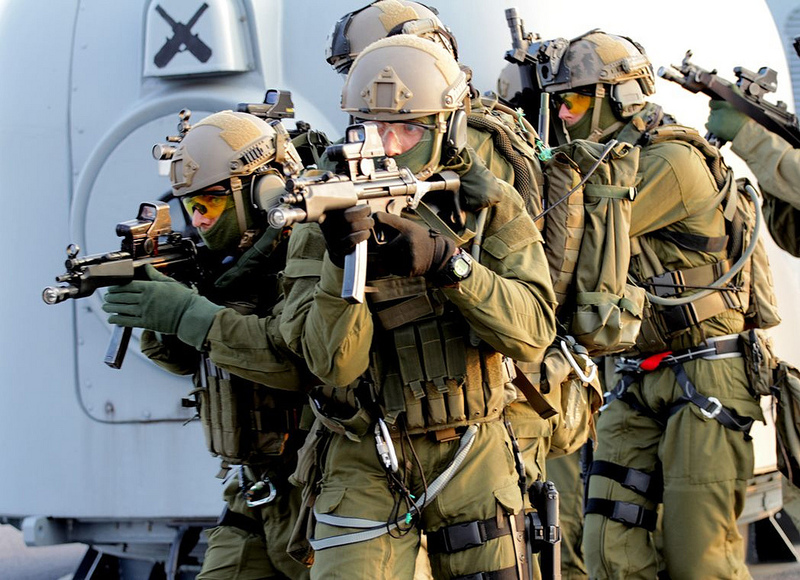 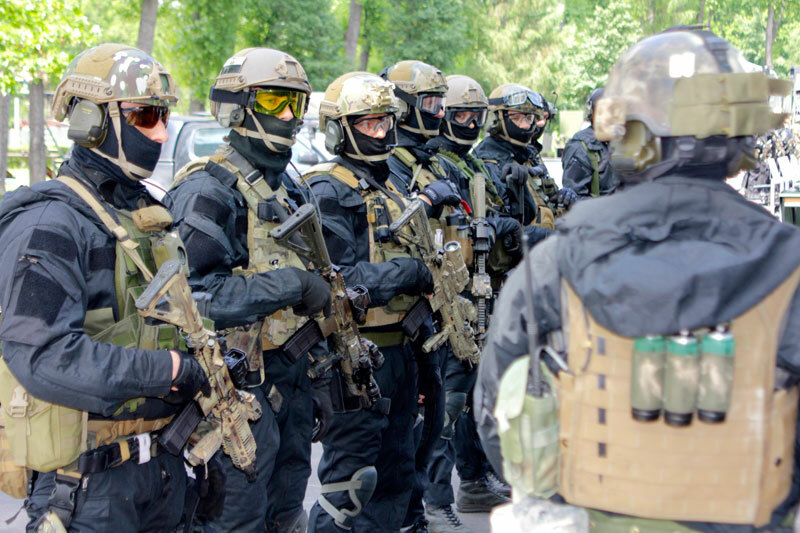 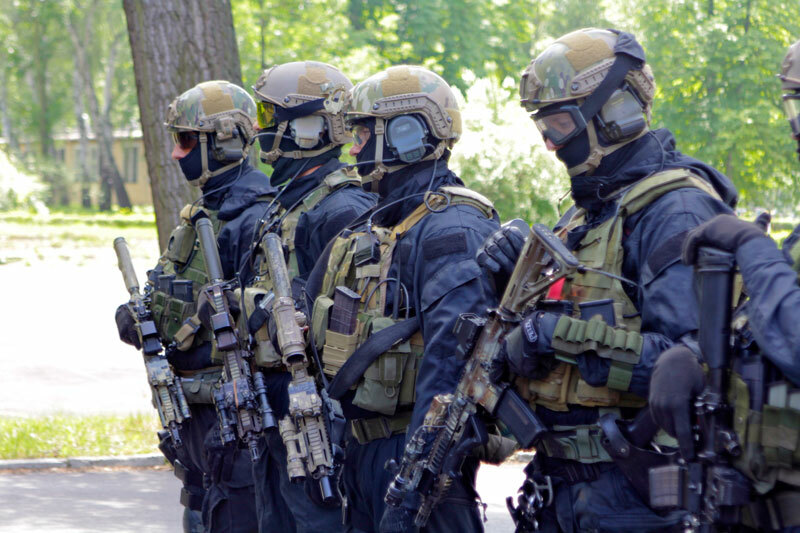 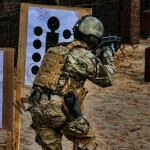 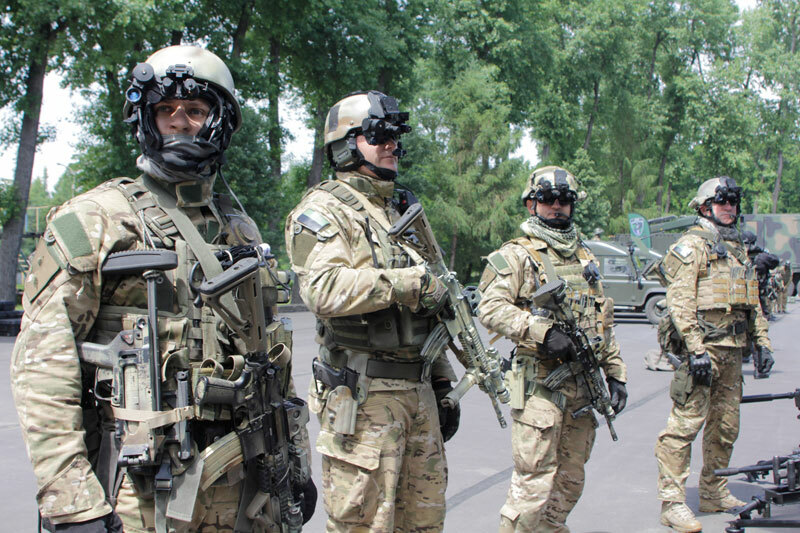 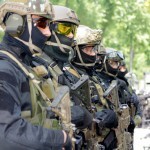 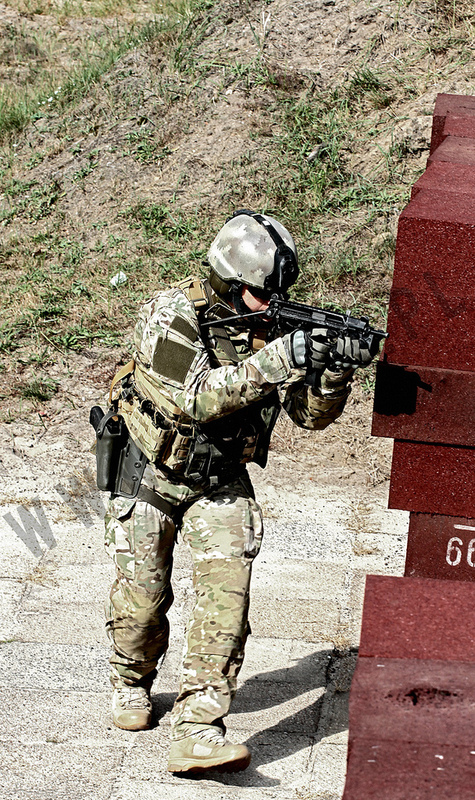 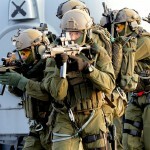 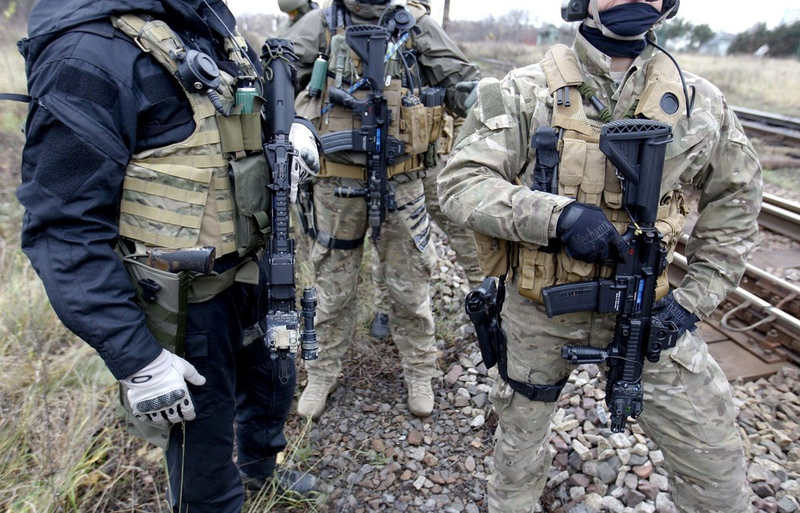 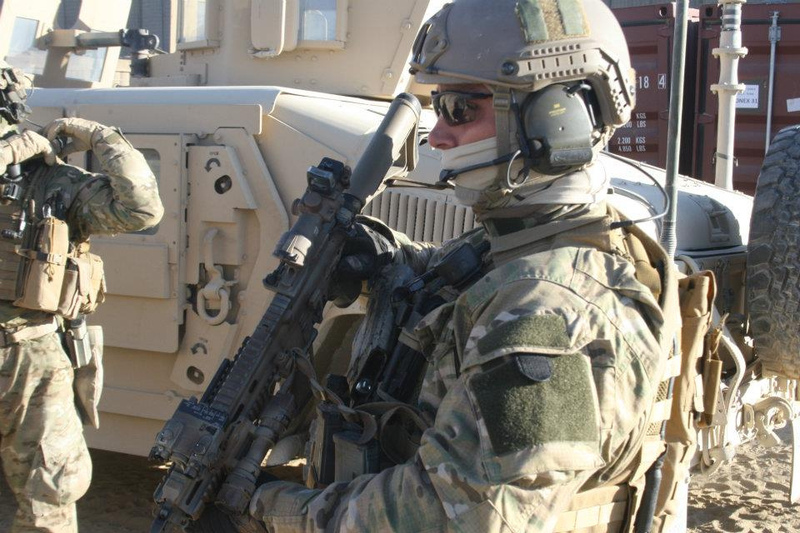 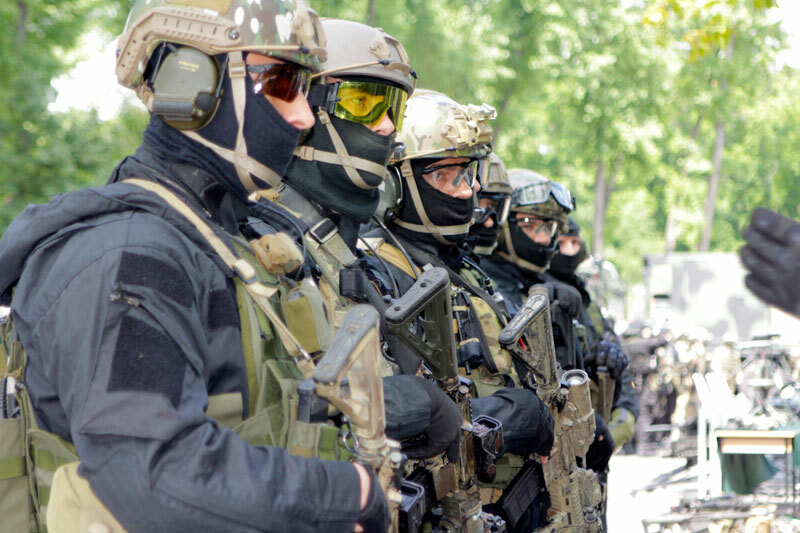 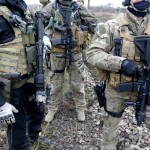 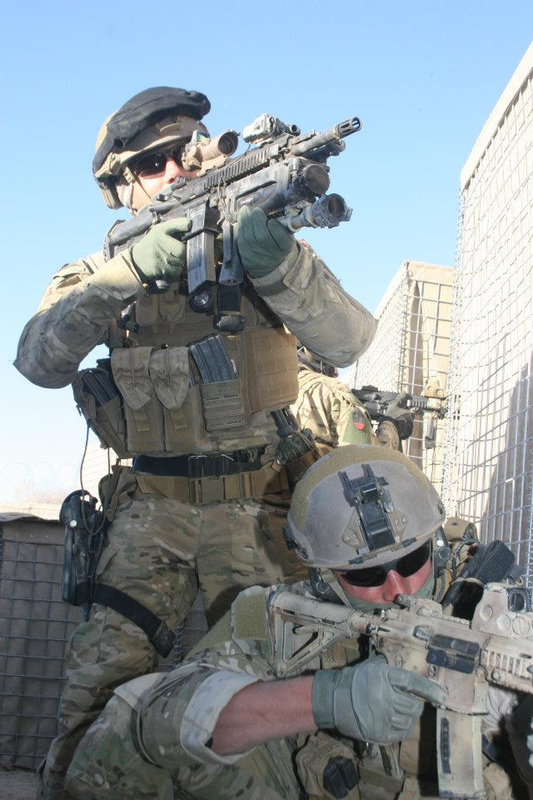 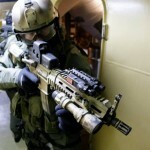 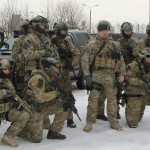 Polish SOFs: Polish Special Operations Forces Command is a relatively new concept for Poland. 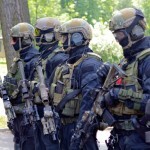 While many western and NATO countries created SF and counter terrorist units after the Munich Olympics hostage rescue disaster in 1972, Poland, which was still a Soviet Block country, had to wait until well after the Berlin wall came down. 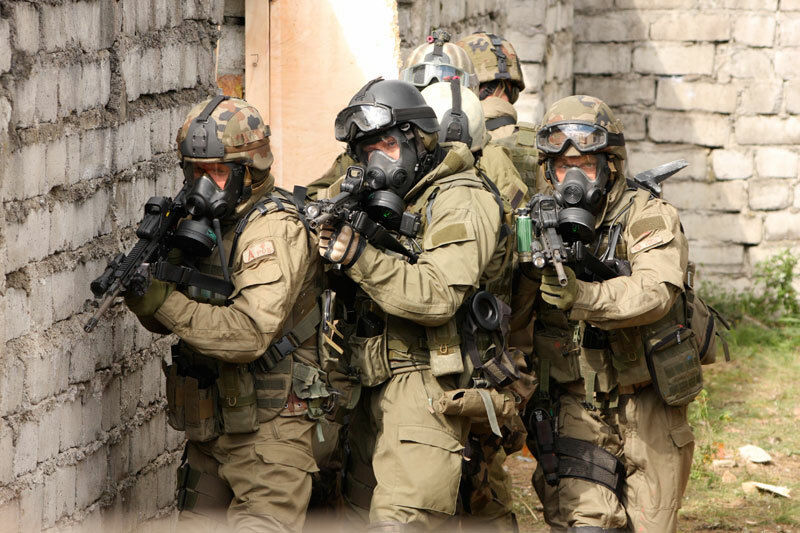 In 2006, Poland’s Special Forces and Special Operations Forces units were put under one command (DowÃ³dztwo Wojsk Specjalnych) in Krakow. 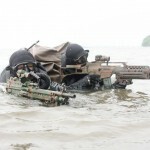 The next units were formed on the years following, they are: Military Unit GROM; Military Unit Commando (JWK); Military Unit FORMOZA; Military Unit AGAT; and Military Unit NIL. 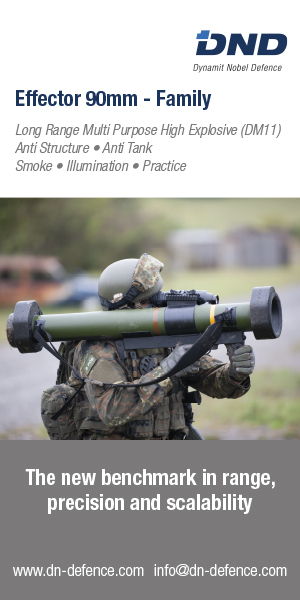 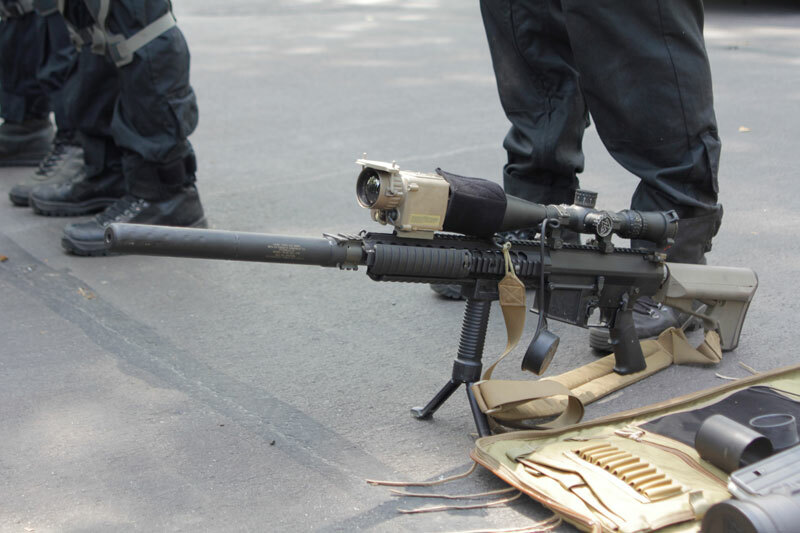 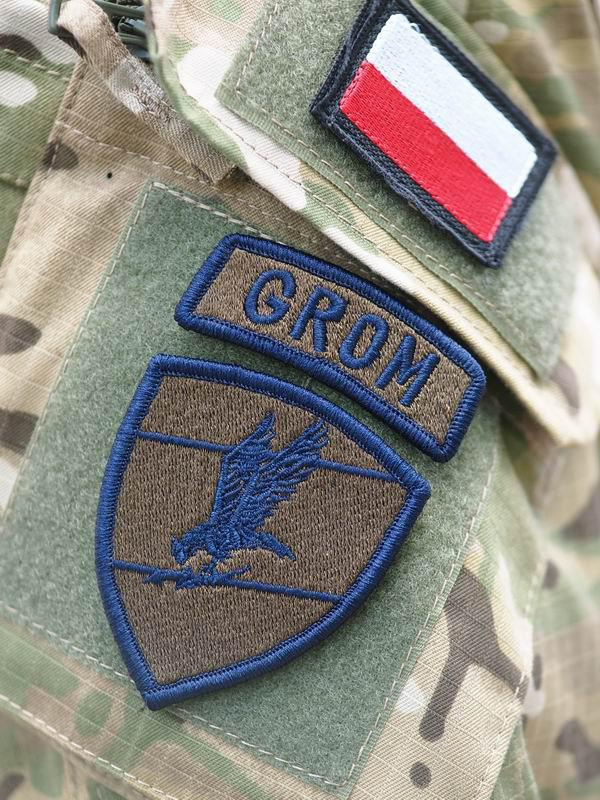 GROM (full name in Polish: Grupa Reagowania Operacyjno-Manewrowego (Operational Mobile Reaction Group); the acronym itself means â€œthunderboltâ€). 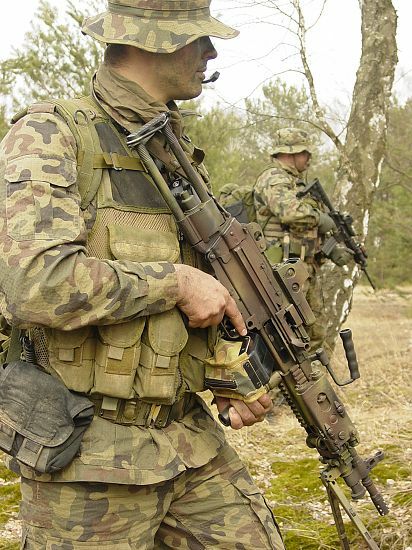 This unit was named after the ‘Cichociemni’ Home Army paratroopers. 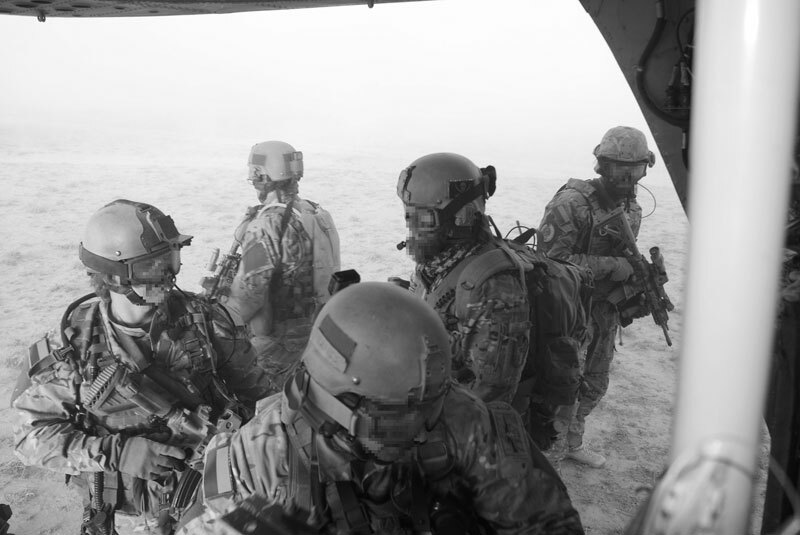 These elite soldiers were trained in the UK and airdropped around Europe during WWII. 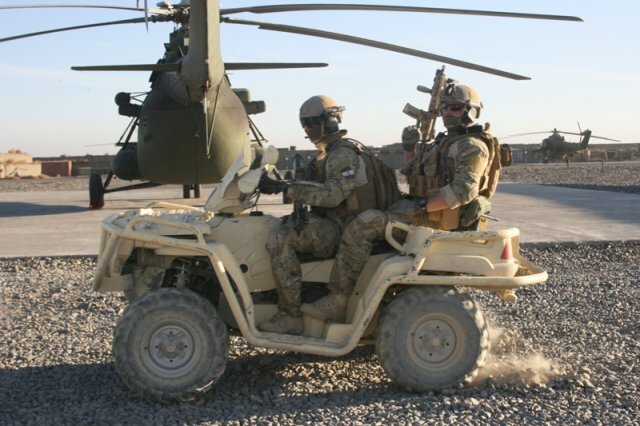 Though not often heard about they operated on many occasions as an independent arm of the British Special Operations Executive (SOE). 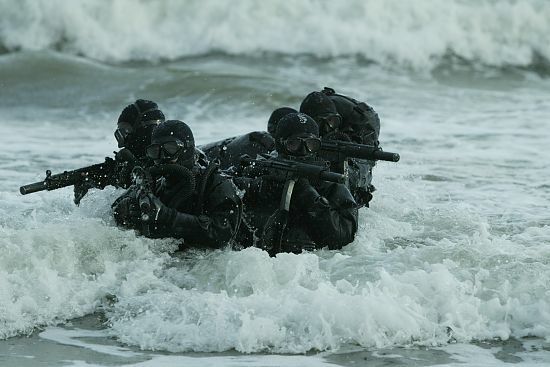 And like their British counterparts, they suffered many losses. 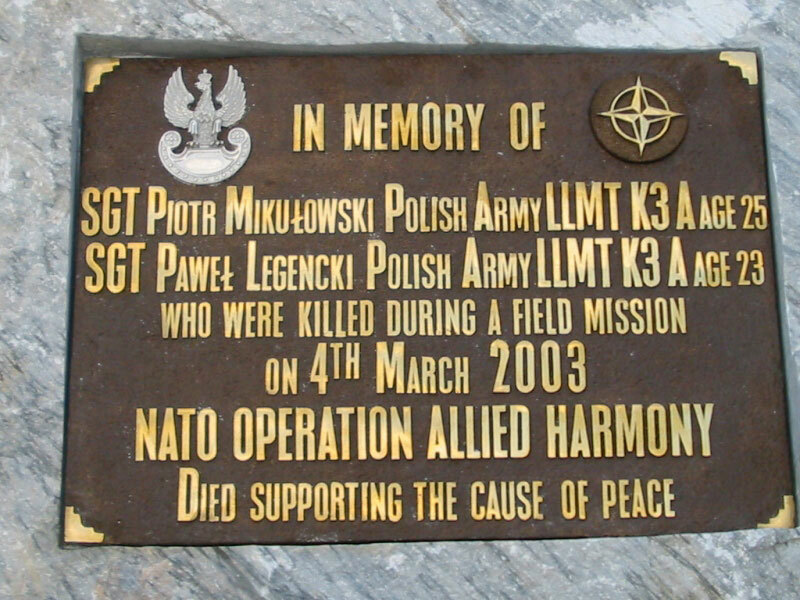 The following operation is one example: Out of 344 men transported to Poland, 112 were killed. 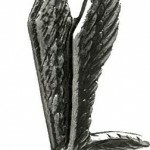 84 in fights against the Germans or tortured to death by the Gestapo after being arrested. 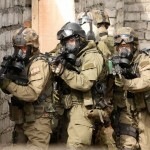 10 committed suicide in German prisons and concentration camps. 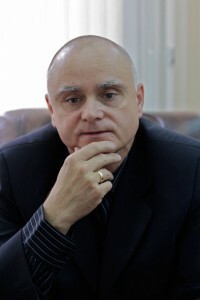 10 were executed by the Communists during and after the war. 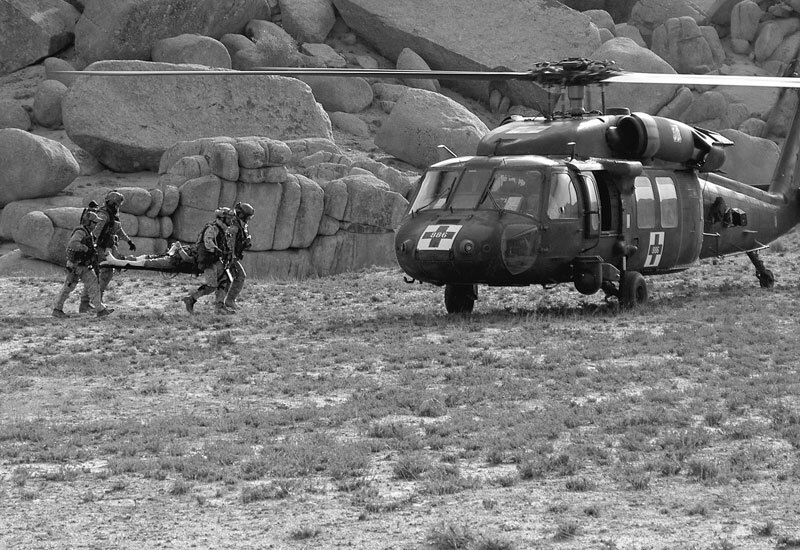 9 were shot down with their planes before reaching their targets. 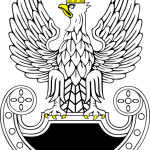 Out of 91 cichociemni who took part in the Warsaw Uprising, 18 were killed in action. 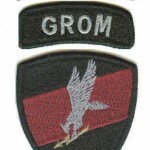 GROM was formed in 1990 and ‘followed the best American and British standards’. 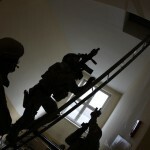 Its tasks include: complex counter terrorism special operations aimed at rescuing hostages. 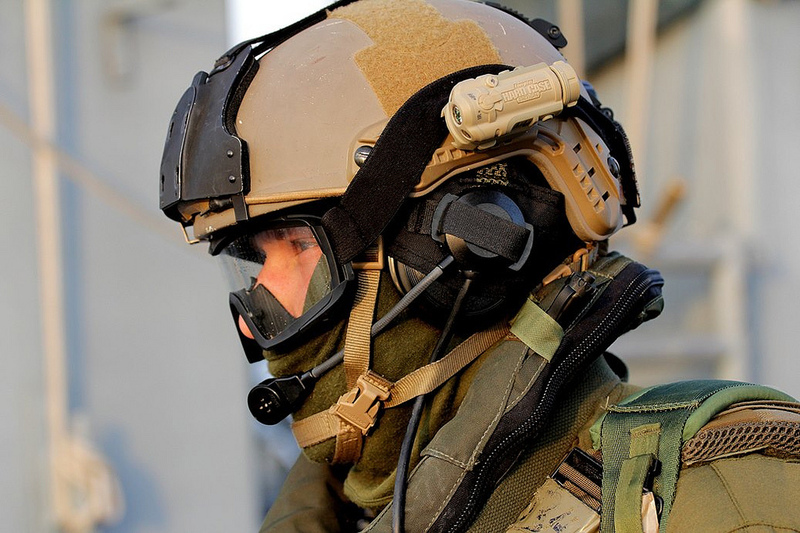 Operations on land, in the air and sea, including oil rigs and ships and airborne operations. 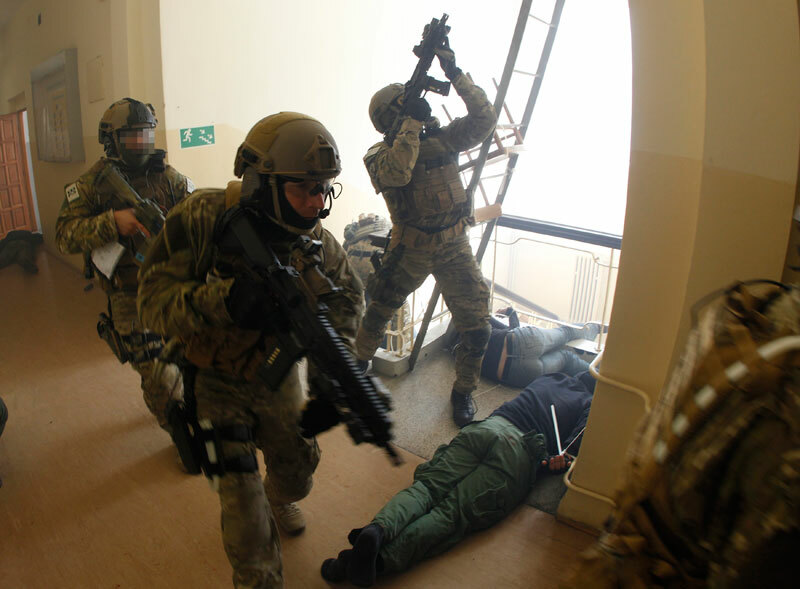 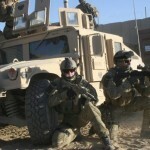 BLACK TACTICS: Counter-terrorist land operations which include rescue operations of hostages from a variety of structures, houses, high-rise buildings, cars, planes, and trains; VIP detail duty, perimeter protection, and supporting operations of other military and non-military units. 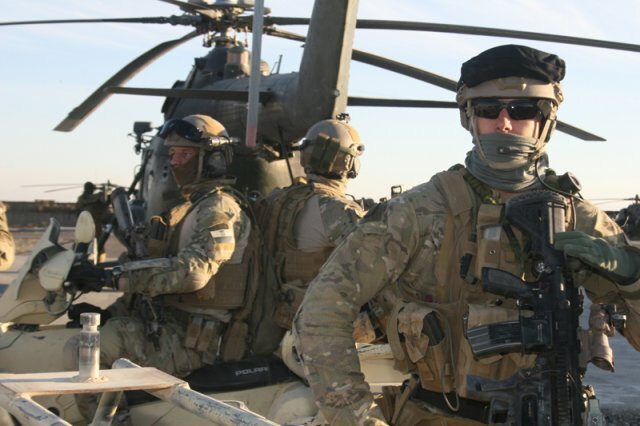 GREEN TACTICS: Special operations, reconnaissance, sabotage deep into enemy territory, eliminating potential human and structural threats from the enemy’s infrastructure, and providing assistance in the evacuation of civilians. 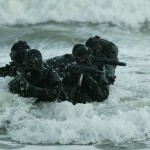 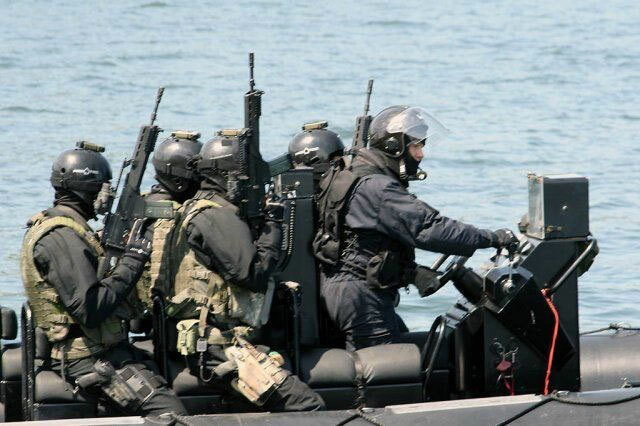 BLUE TACTICS: Sea-borne counter-terrorist operations, combat against terrorists in coastal zones. 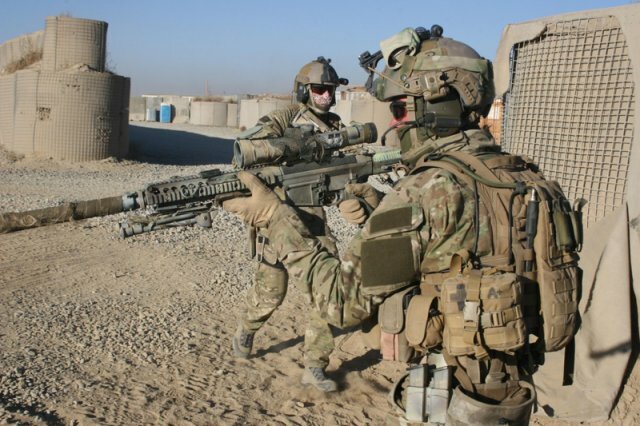 GROM soldiers work in teams of six, each specializes in two other fields such as radio operator, marksman, sapper, medic, chemist or driver. 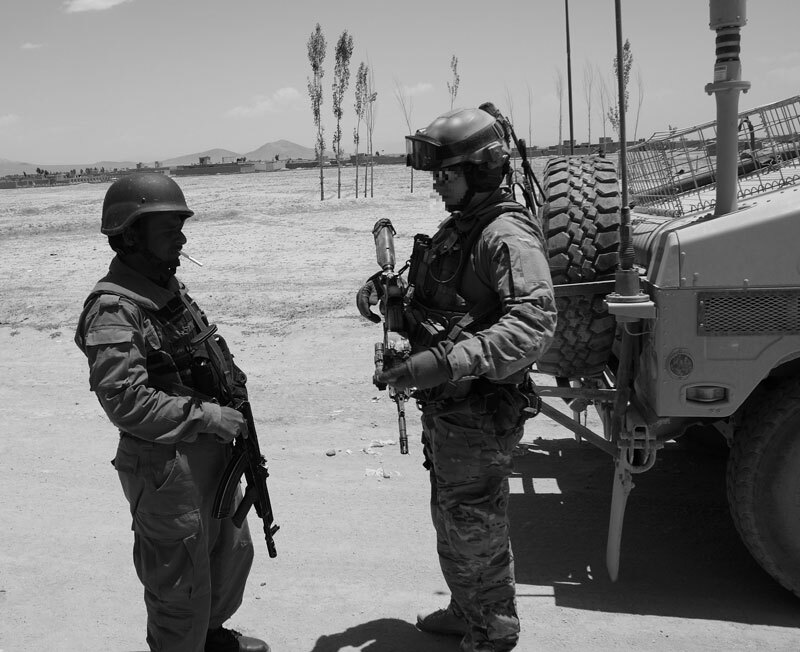 The unit also employs analysts, electronic engineers, IT specialists, explosives specialists and technicians. 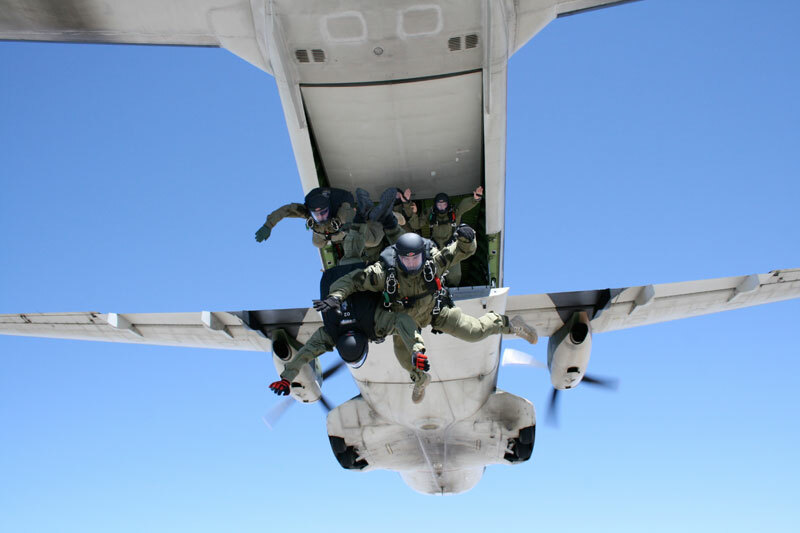 Each operator undergoes a long arduous parachuting and driving training. 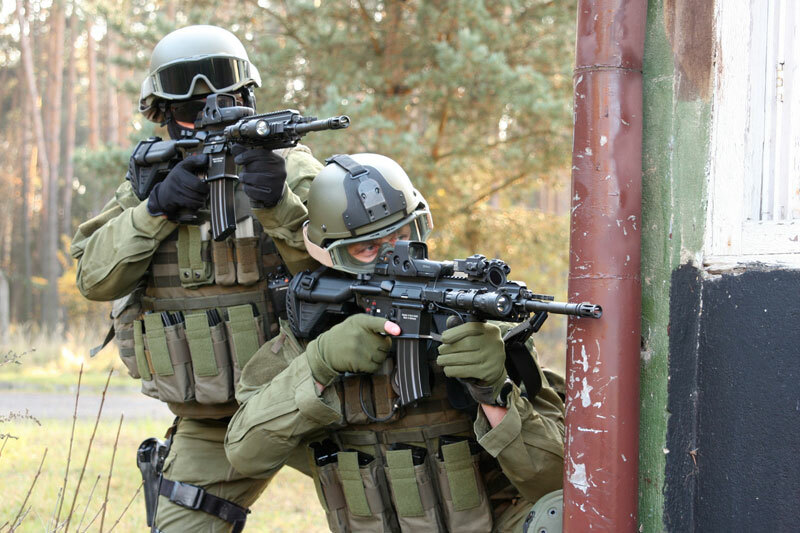 They must also pass the notorious ‘truth test’, a physically and psychologically exhausting field test designed to filter out the weaker applicants. 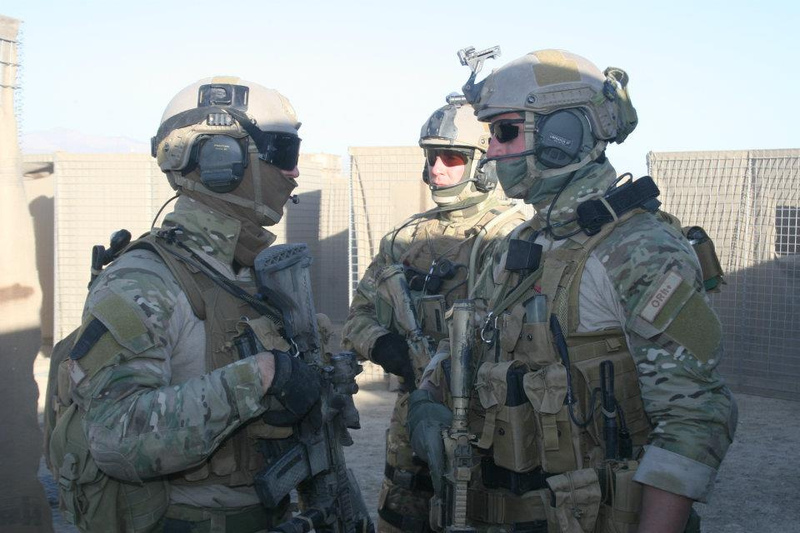 There are more details of GROM operations in the interview with their former commander below. 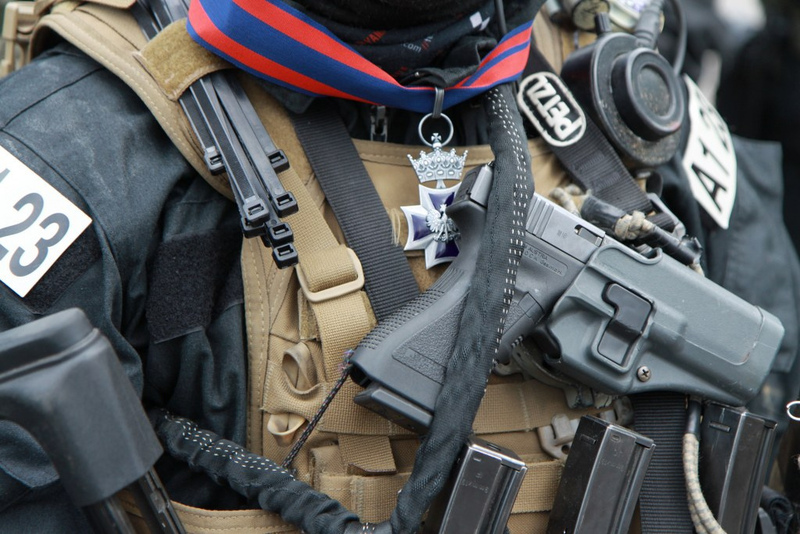 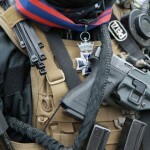 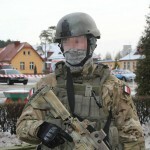 Military Unit Commando JWK (full name in Polish: Jednostka Wojskowa KomandosÃ³w, former name 1 Pu?k Specjalny KomandosÃ³w, 1 PSK until 2011 (1st Special Commando Regiment, 1st Special Forces Regiment). 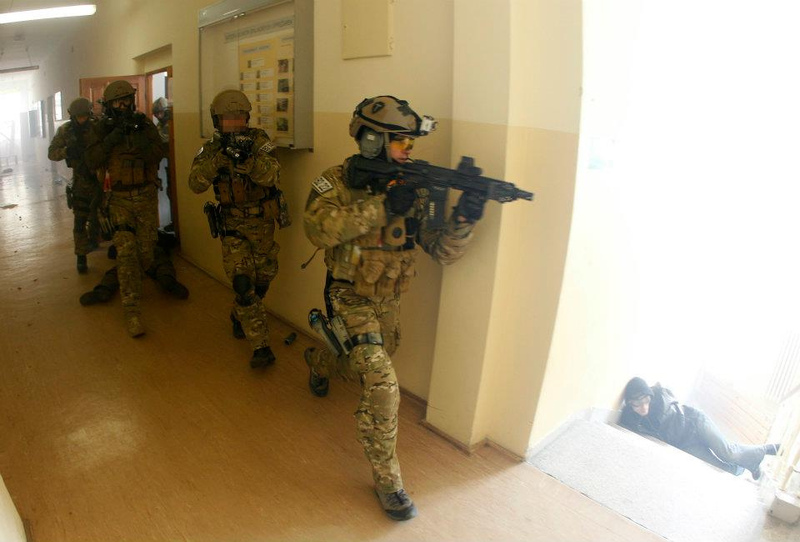 The history of this unit dates back to 1957 when a Recce Company based in the barracks of the 16th Assault Recce Battalion was formed in Krakaow. 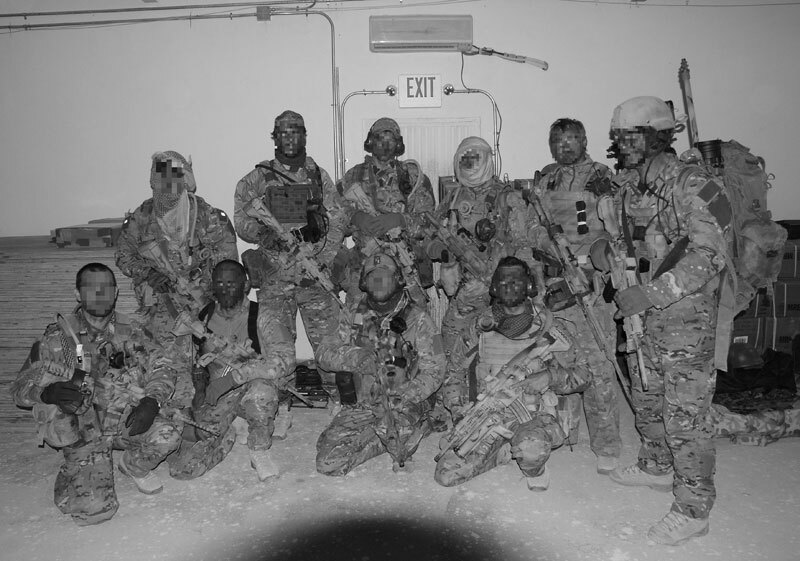 Over the years, the unit has changed its location and structure, transforming from a company into the 1st Assault Battalion. 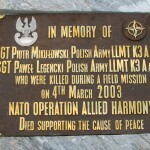 In 1986 it was moved to Lubliniec in Upper Silesia. 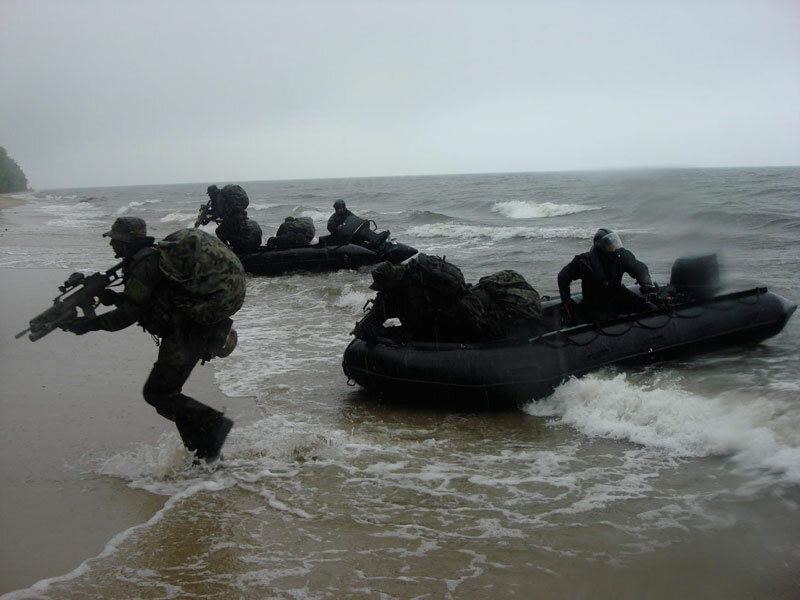 There it was formed into the 1st Special Regiment and reached combat readiness in 1995. 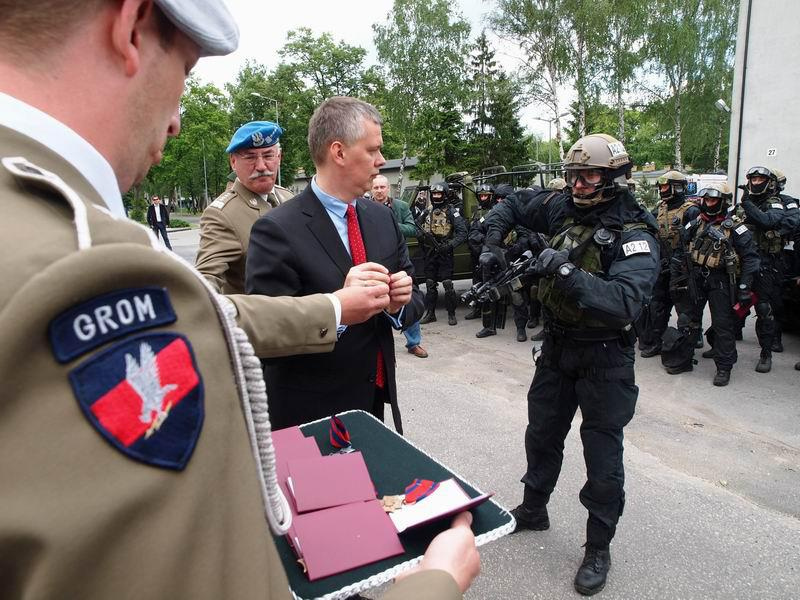 Unit Commando is directly subordinate to the Polish Special Forces Commander. 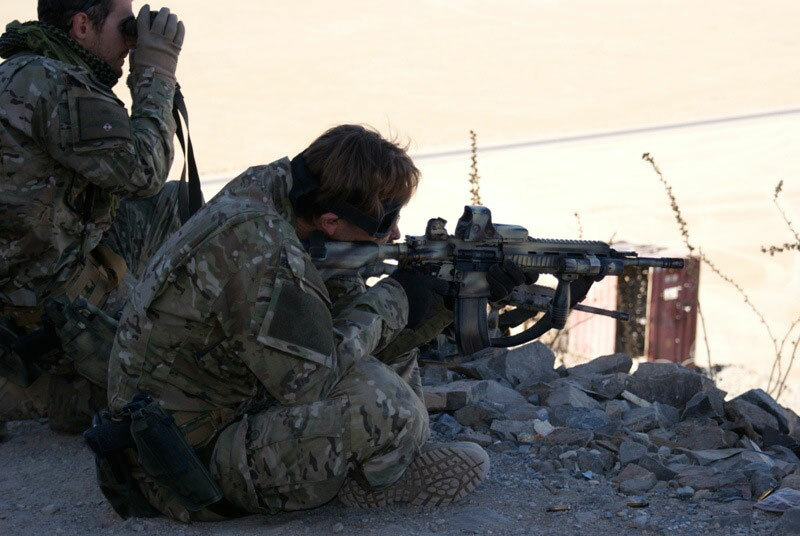 The unit conducts a full spectrum of special land operations, particularly special reconnaissance at the times of peace, crisis and war. 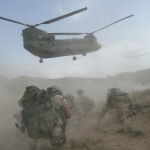 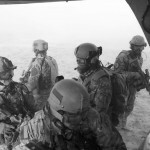 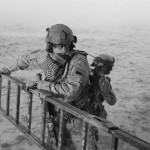 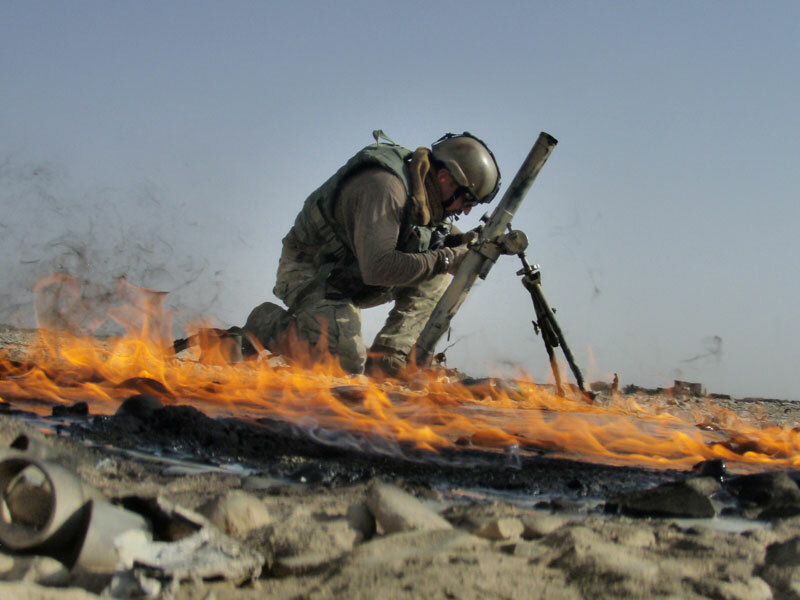 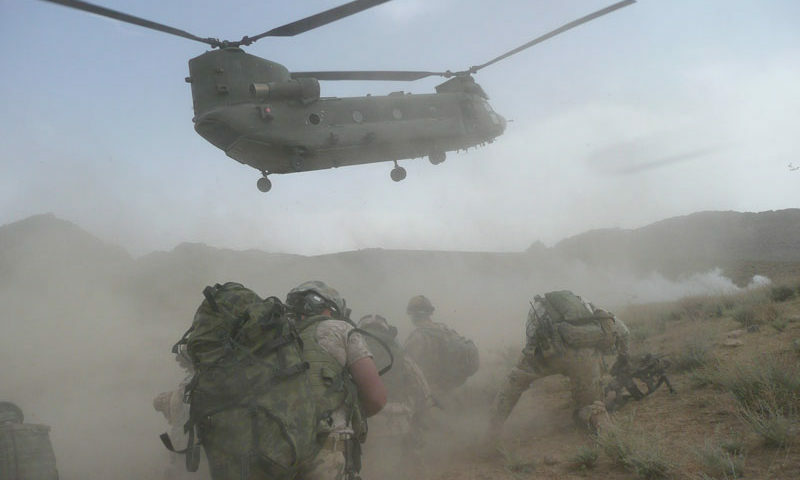 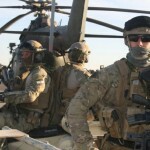 Air assault, helicopter and parachute operations, strategic and tactical reconnaissance missions, raids, ambushes, and underwater attack missions. 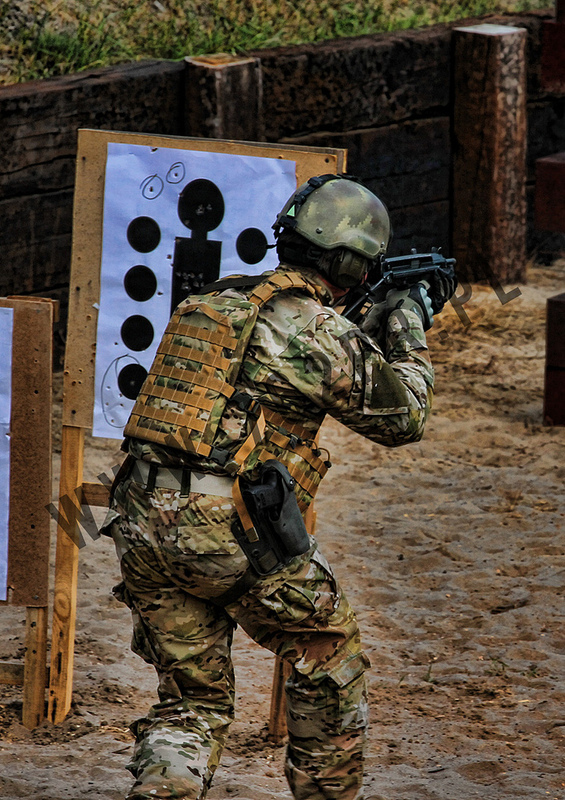 Candidates must go through the same physical and psychological tests as the GROM candidates. 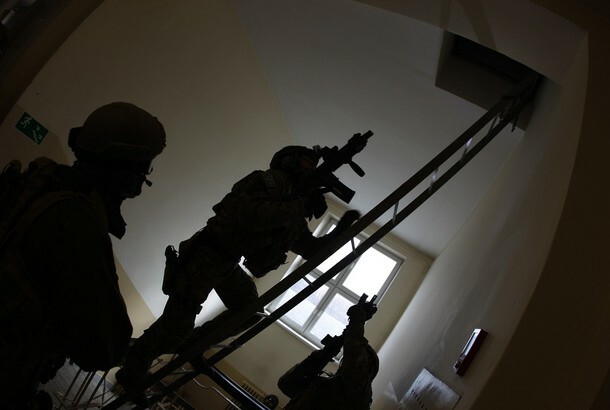 To serve in the Special Operations Task Group (TF 50), candidates must complete the certification course and a seven-day endurance test. 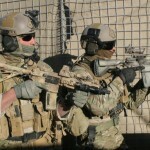 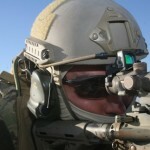 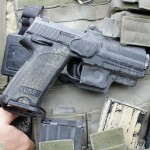 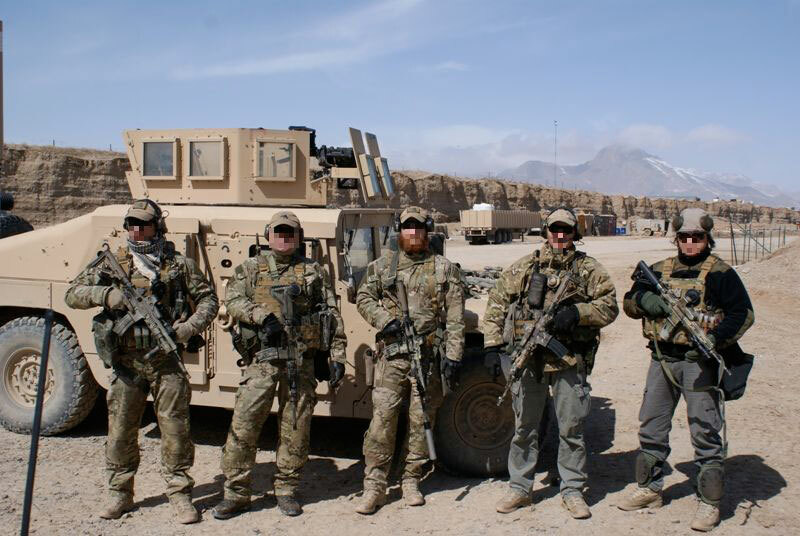 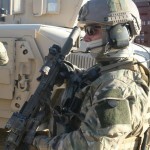 For more on TF50 see the previous article on this website on the hostage rescue operation TF50. 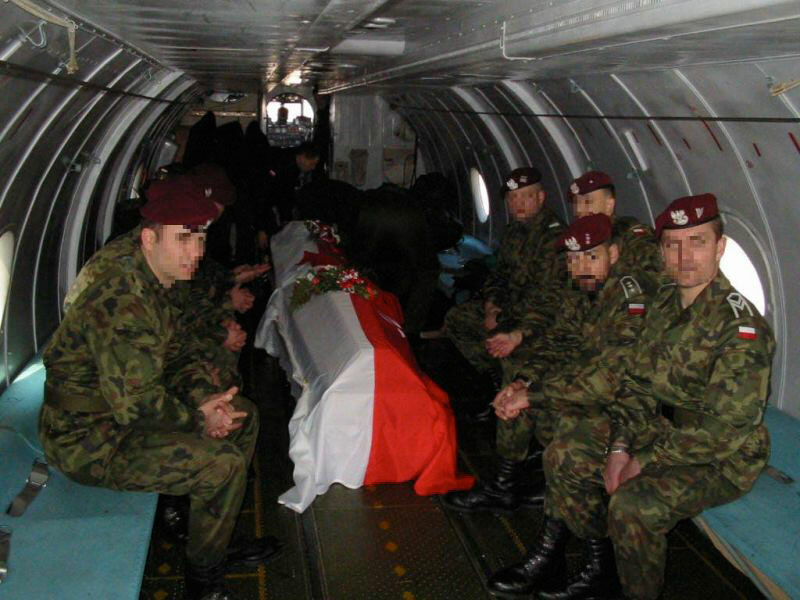 Military Unit FORMOZA (full name in Polish: Jednostka Wojskowa Formoza, 2007-2011 Morska Jednostka Dzia?a? 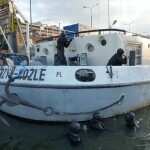 Specjalnych, MJDS ( Naval Special Operations Unit), other old names are Sekcje Dzia?a? 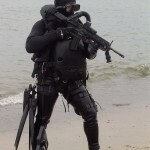 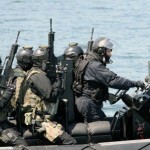 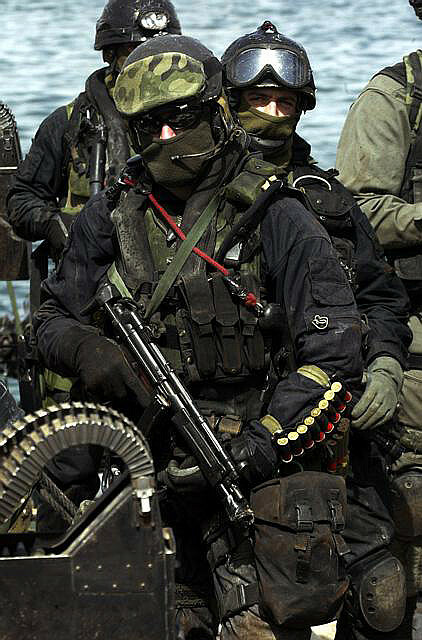 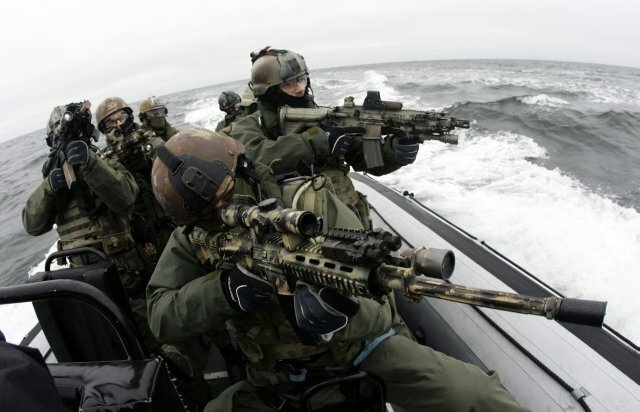 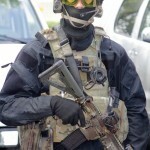 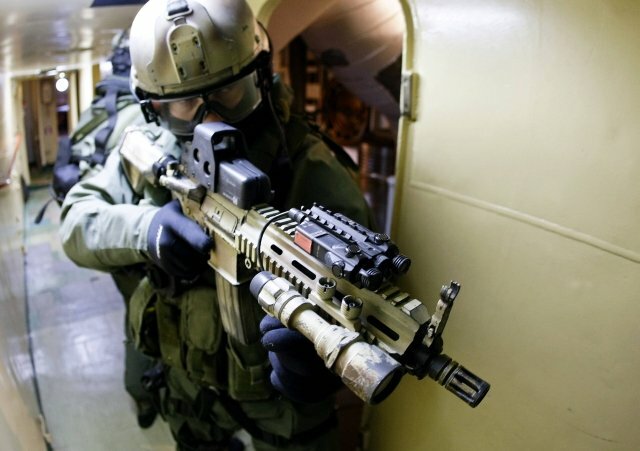 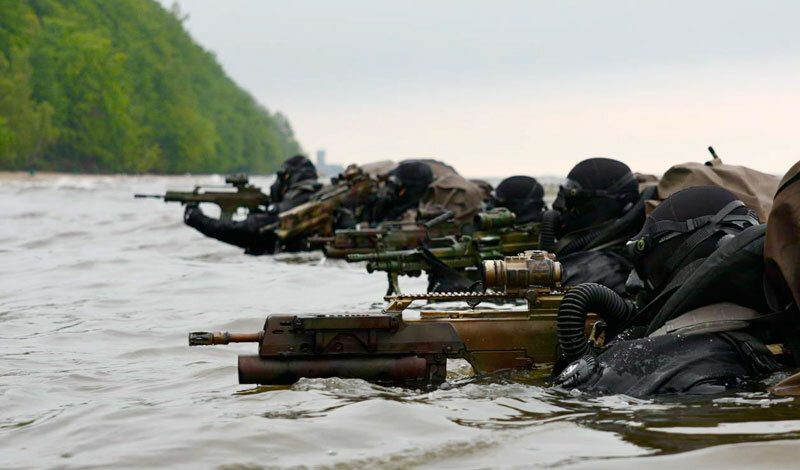 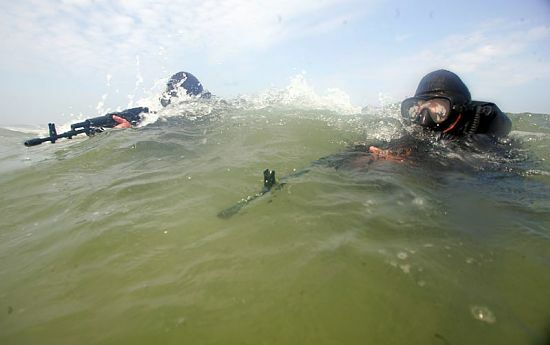 Specjalnych Marynarki Wojennej (Polish Navy Special Operations Sections), Grupy Specjalne P?etwonurkÃ³w (Special Frogmen Groups). 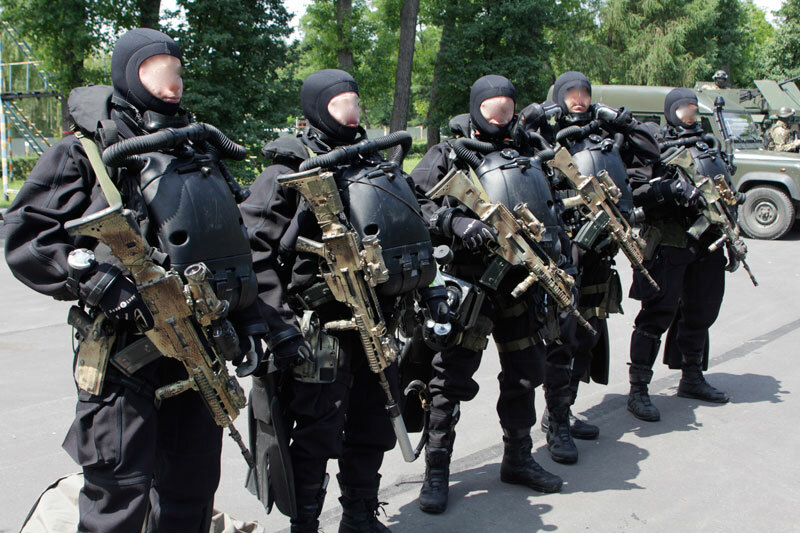 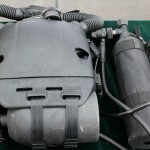 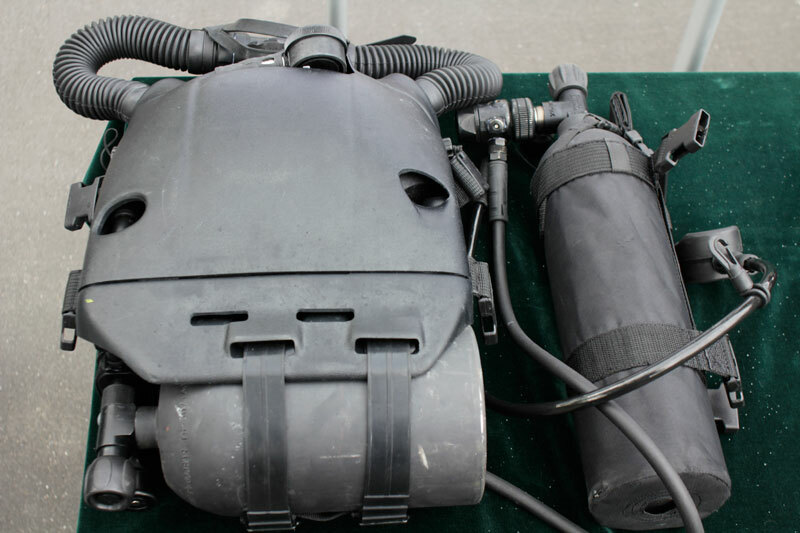 This unit has its roots in the Divers Research Team, which was formed in 1974. 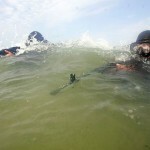 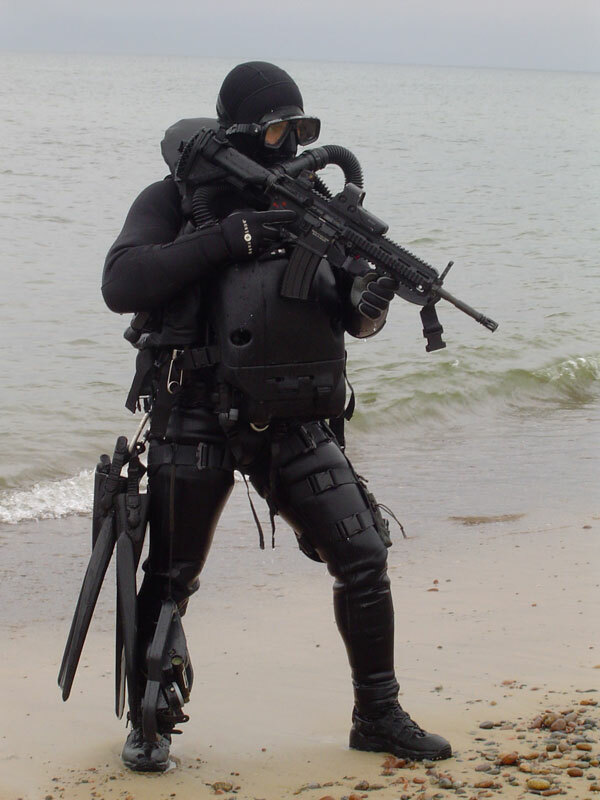 It was tasked with preparing a concept for the structure and formation of a naval frogman special division. 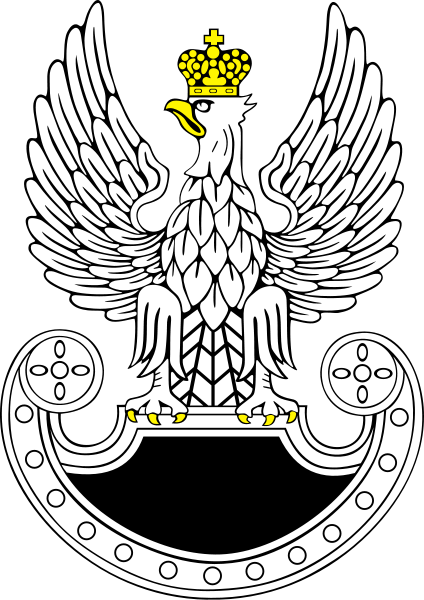 The independent unit was established a year later on November 13 1975. 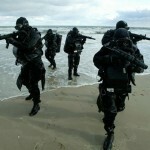 It changed to become the Special Operations Department and the Special Naval Frogman Group in 1990. 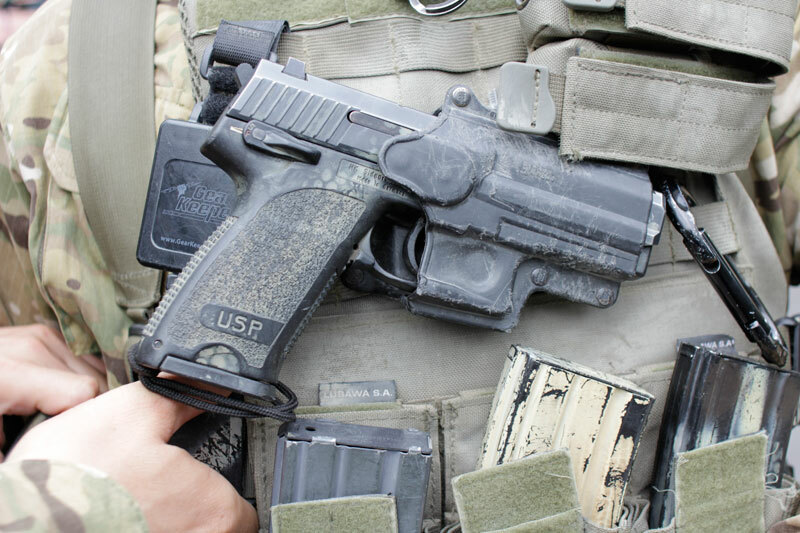 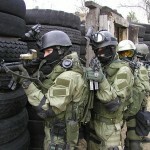 In 2007, the unit was made subordinate to the Polish Special Forces. 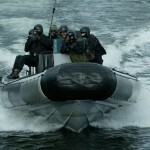 The unit was then renamed Naval Special Operations Unit. 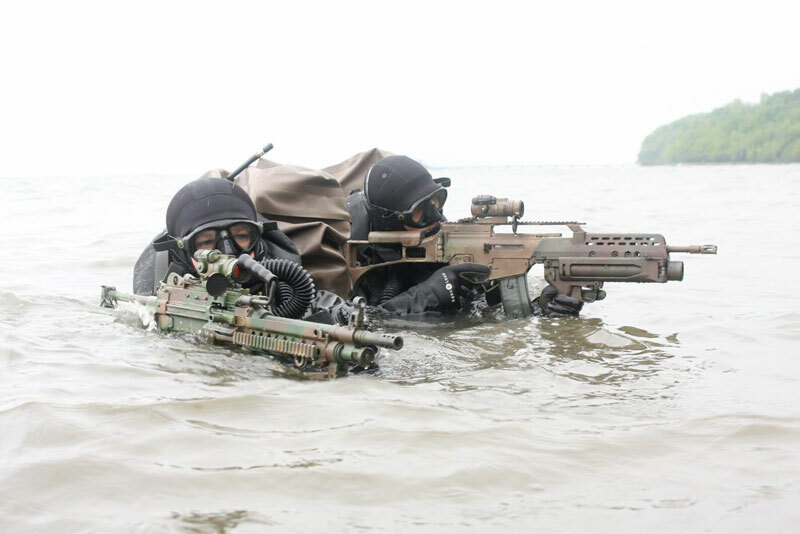 Military Unit FORMOZA is tasked with conducting all spectrum of special sea operations and amphibious operations. 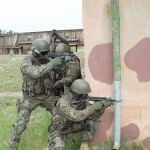 Candidates must pass the same physical and psychological tests as the other Special Forces units, plus hand-to-hand fighting and swimming tests. 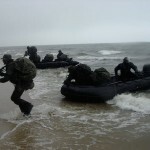 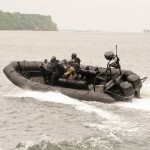 Its basic tasks include the carrying out of operations on the sea, under water and in on-shore facilities, as well as land special operations. 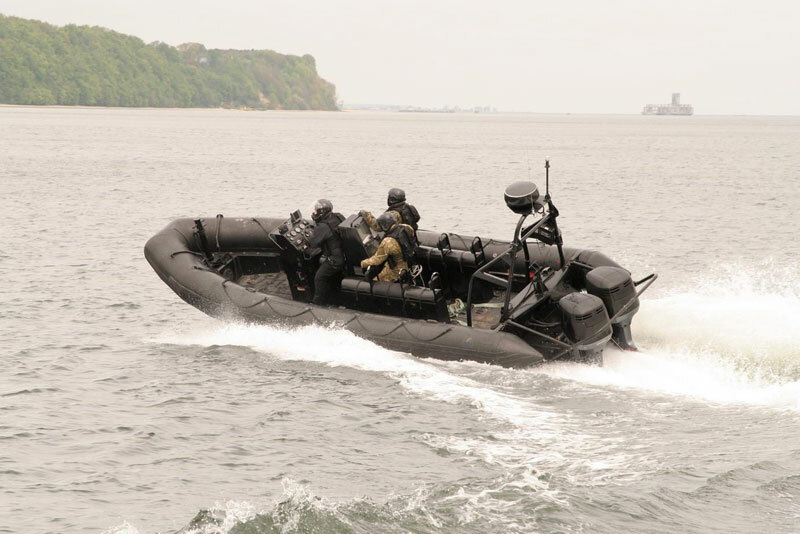 Usually the Formoza co-operates with a water subunit of GROM, and the frogmen subunit of the JWK Unit Commando and some of its equivalents in the navies of NATO. 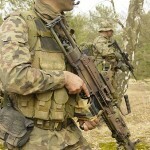 Military Unit AGAT (full name in Polish: Jednostka Wojskowa Agat). 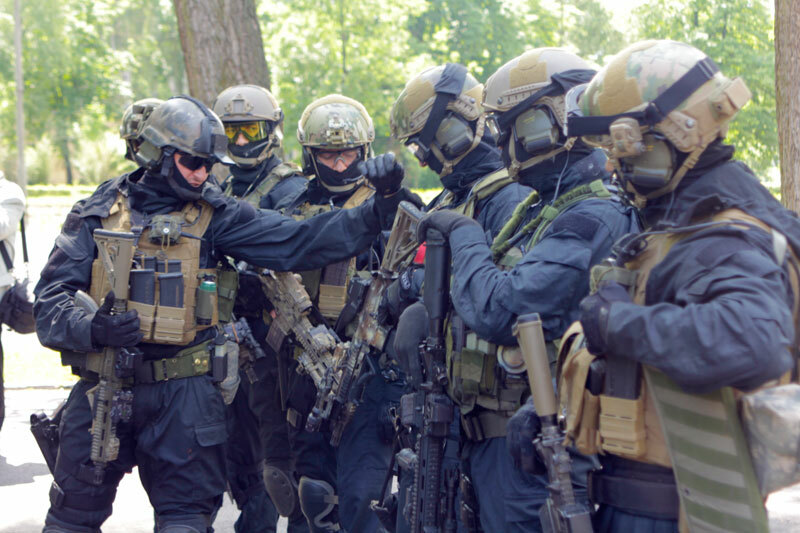 This is Poland’s youngest SOF unit. 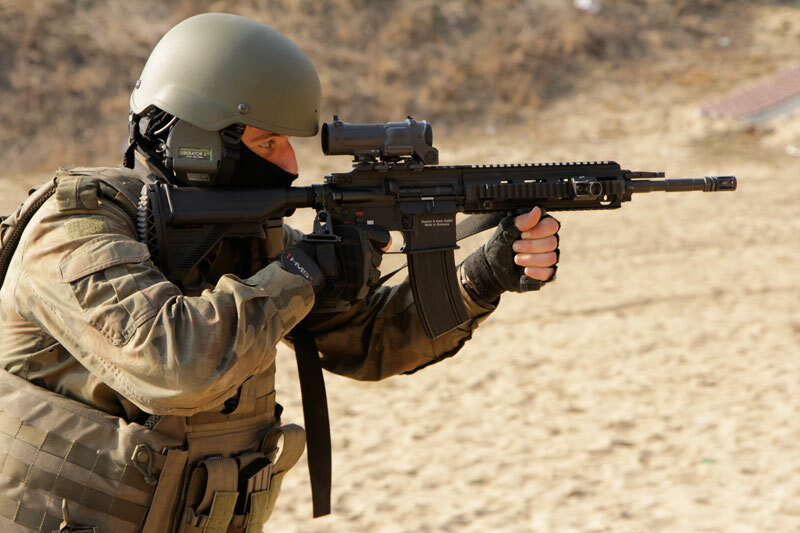 It was established on the basis of the Special Military Police Unit and was made subordinate to the Special Forces Commander in July 1 2011. 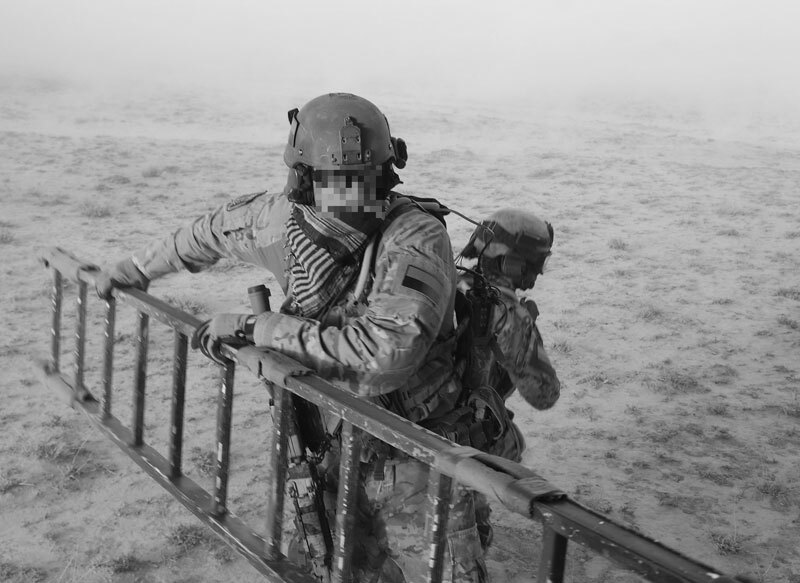 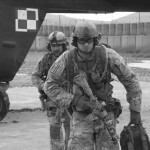 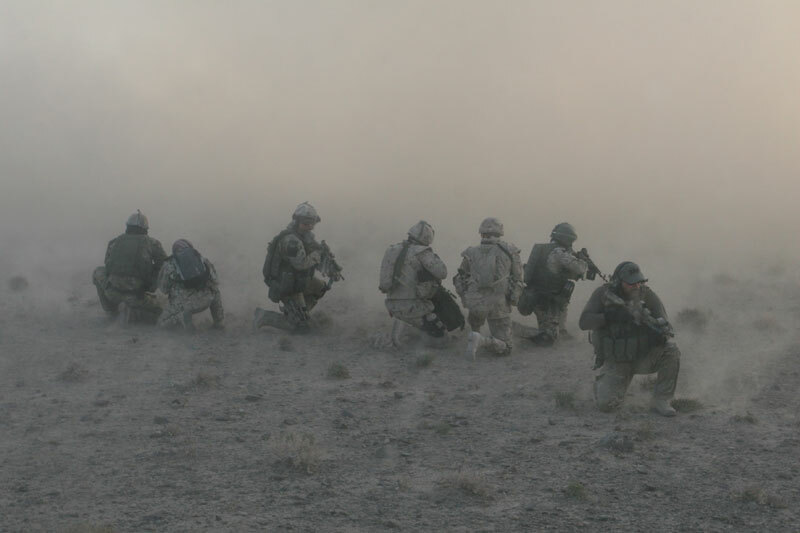 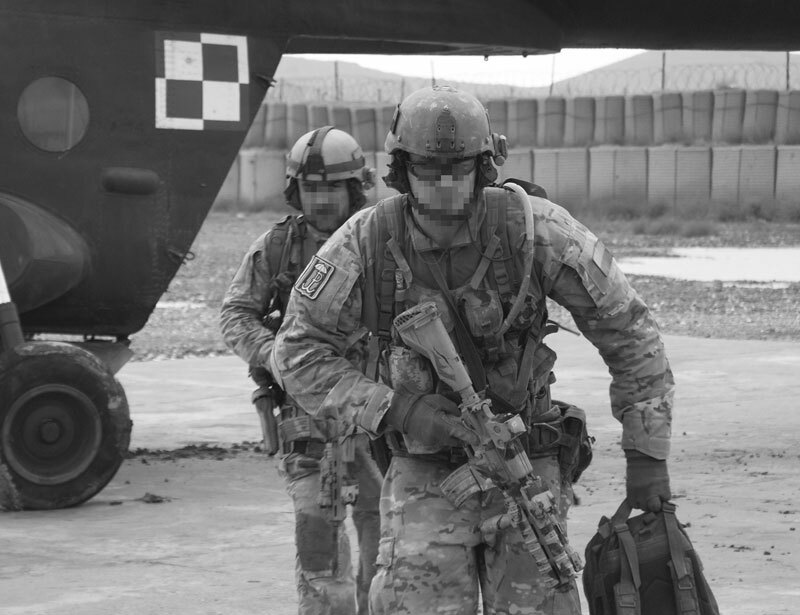 The unit is an airborne formation and is tasked with securing and supporting operations of the Special Forces. 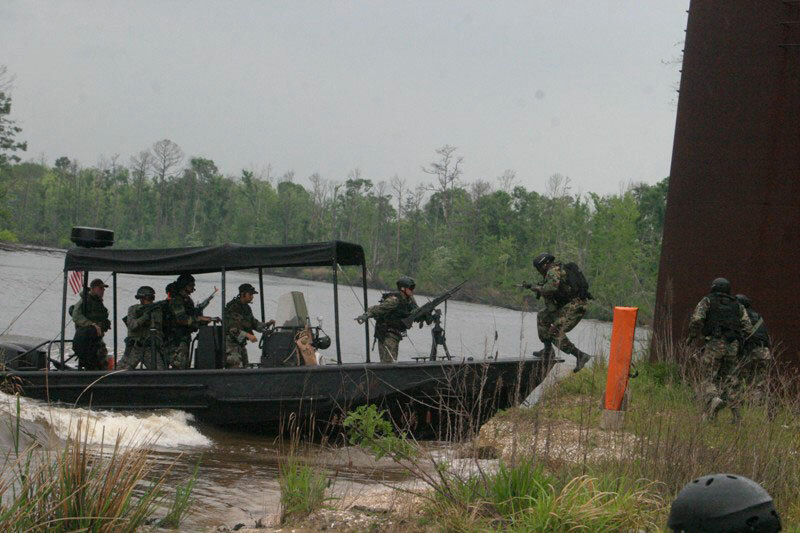 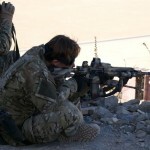 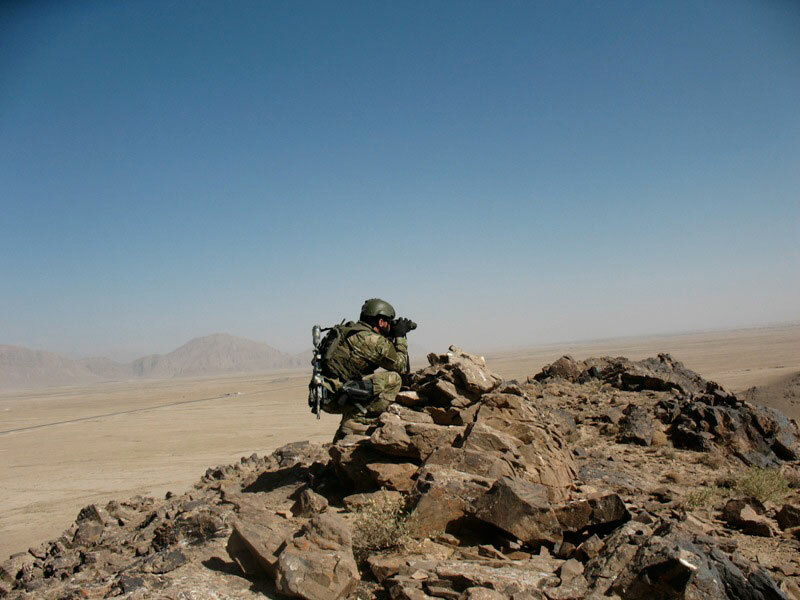 AGAT soldiers are responsible for cordoning the target, preventing hostile forces from their approach and screening operators’ withdrawal after the mission has been accomplished. 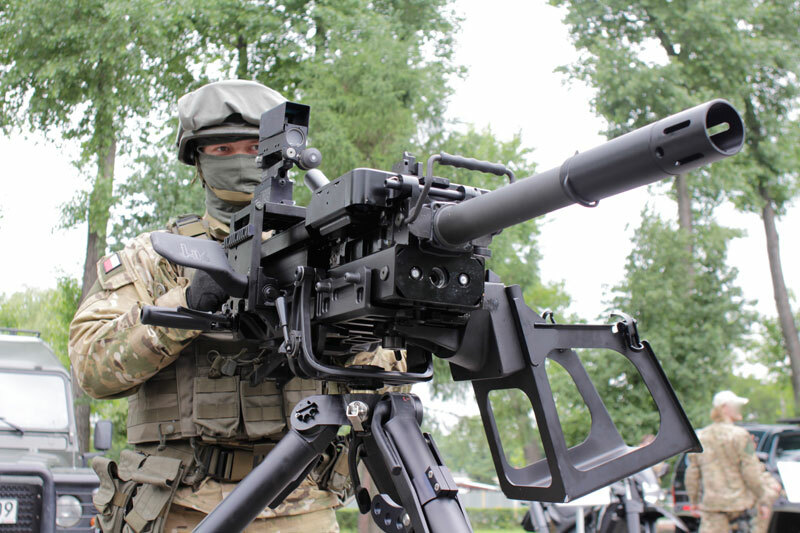 In comparison to the other SF units AGAT is fitted out with heavy weapons such as heavy machine guns and anti tank rocket launchers. 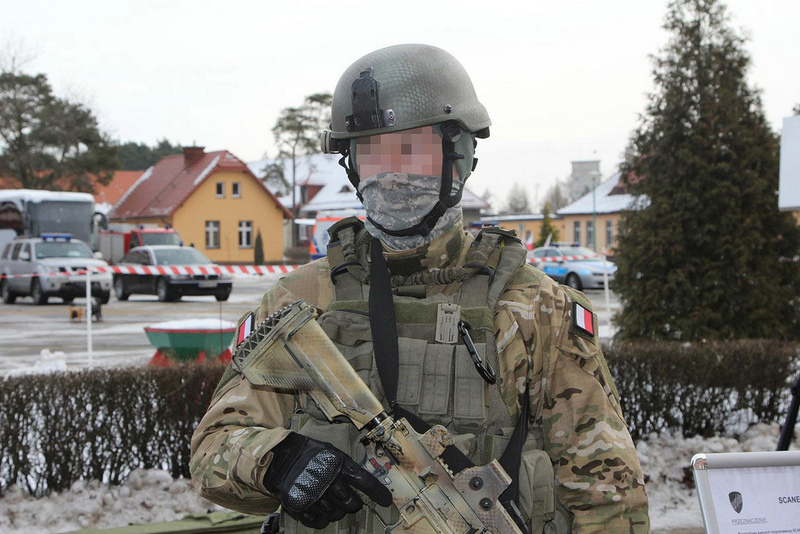 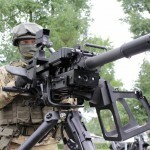 Military Unit NIL (full name in Polish: Jednostka Wsparcia Dowodzenia i Zabezpieczenia Wojsk Specjalnych ‘Nila’ (Support Unit of Command and Security of Special Forces ‘Nil’)). 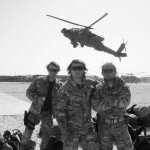 This unit was formed on December 2 2008. 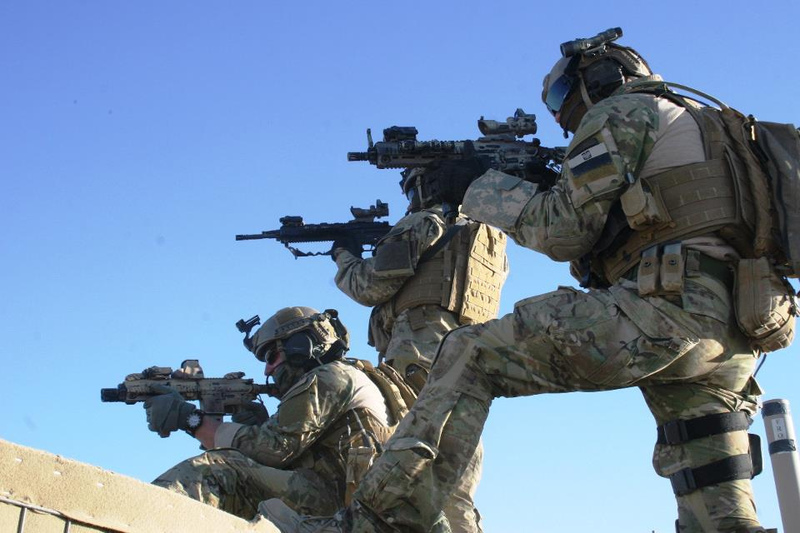 The main task of the unit is to perform tasks of information, command and logistic support of special operations conducted by Special Forces in the country and abroad in the national and allied arrangement. 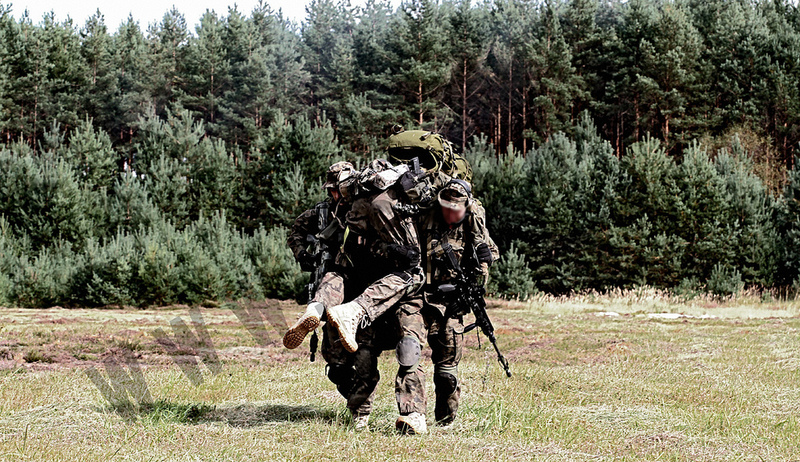 â€“ organizing the logistic support system for the needs of functioning of special forces units and for conducting special operations. 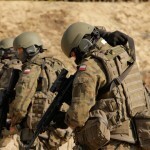 â€“ financial and logistic support of the Unit and Polish Special Forces Command. 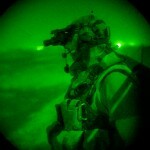 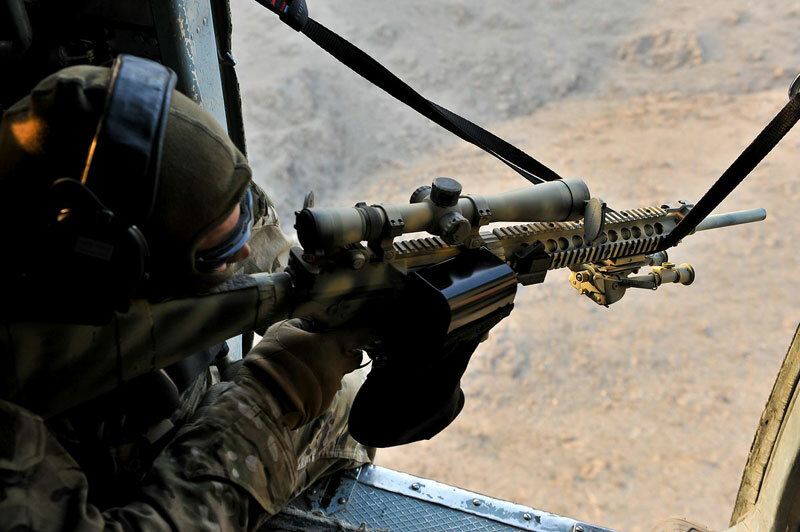 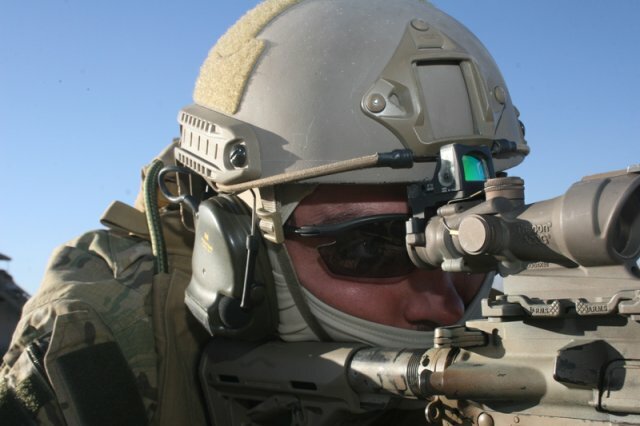 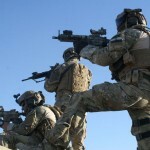 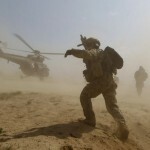 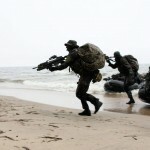 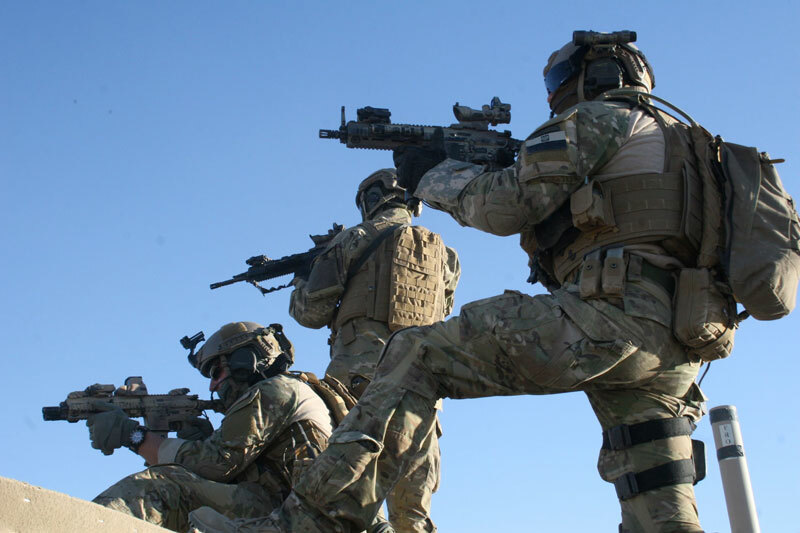 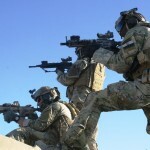 â€“ purchasing for the needs of Special Forces. 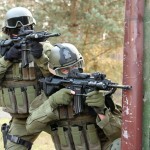 The above information was compiled with the assistance of the POLSOFCOM. 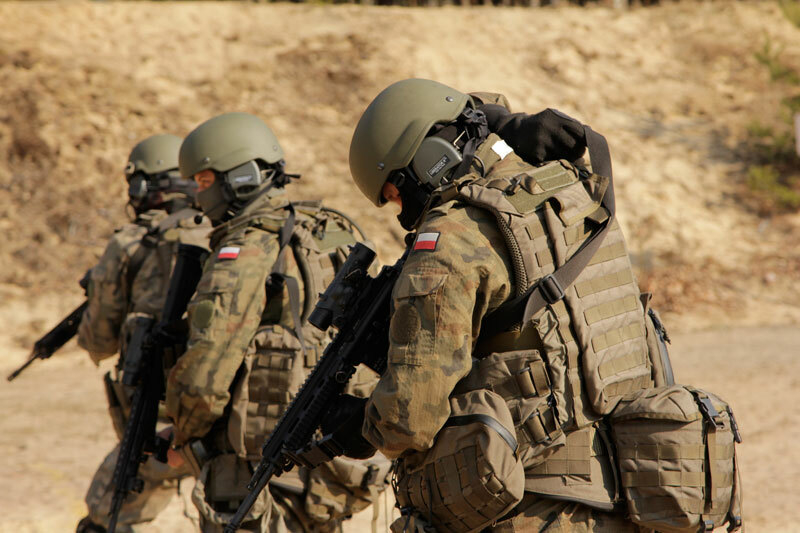 Patalong has risen through the ranks of the Polish armed forces to lead the country’s most elite units. 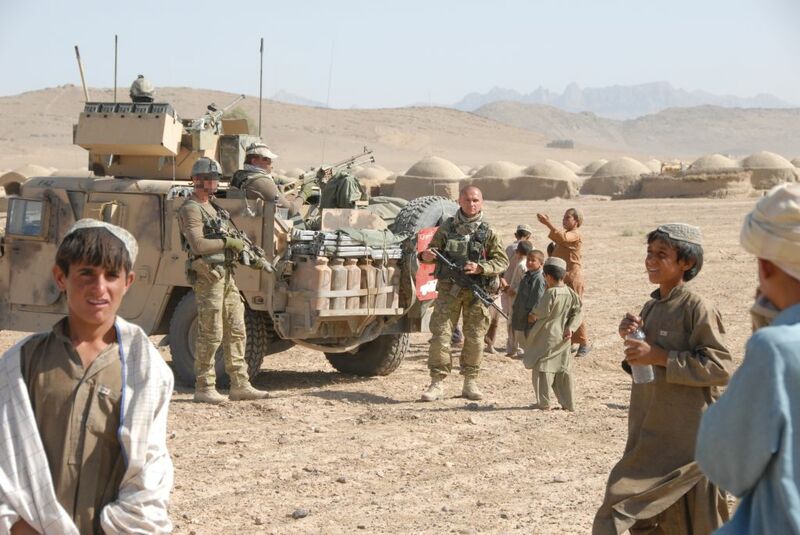 Tours in the Balkans, Iraq and Afghanistan have provided the General with years of valuable operational experience. 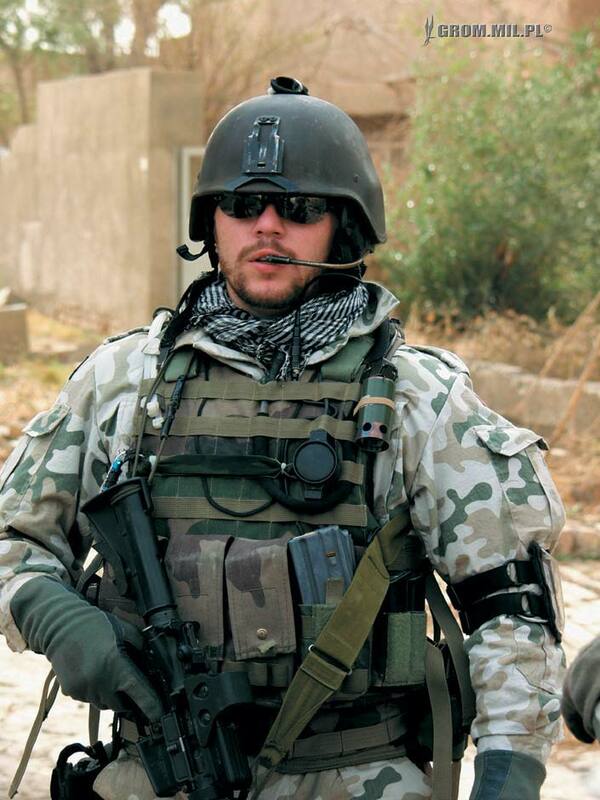 He has also served as the Commander of 1st Special Forces Regiment and Special Forces Unit GROM with distinction. 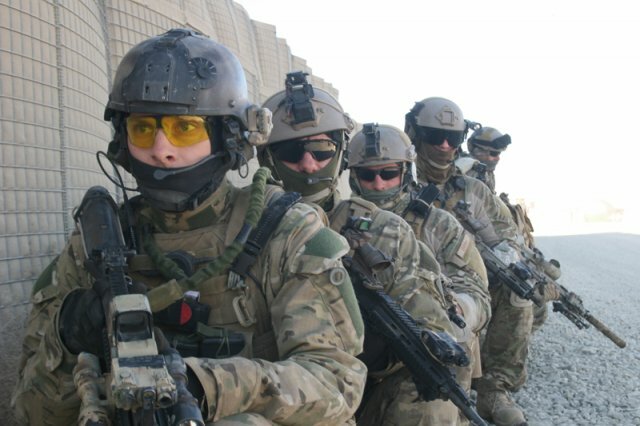 The interview is short but provides a unique insight into Poland’s reformed Special Operations units and their activities across the world. 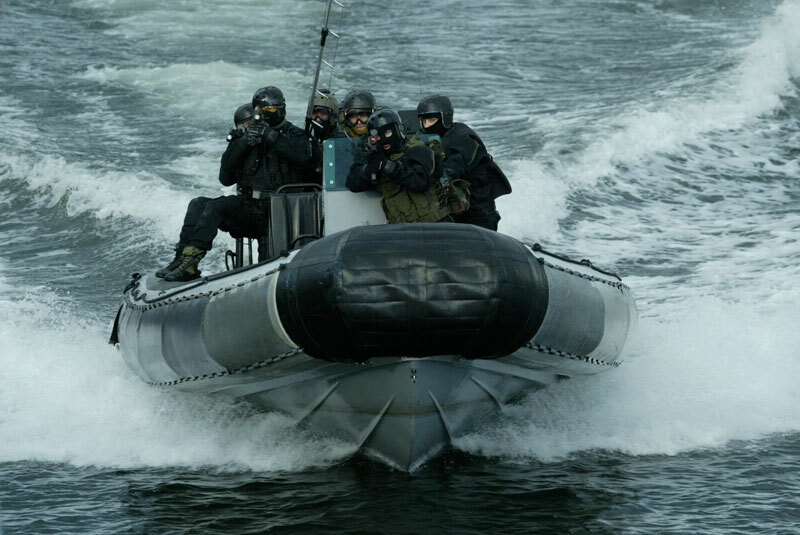 In 1990, Patalong visited the Netherlands to train on the NATO Officers operation course. 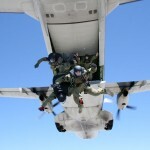 In 1994, he completed the US Airborne, Pathfinder, Jumpmaster and Ranger courses. 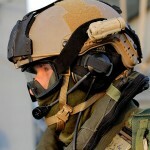 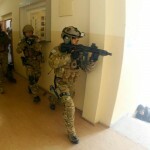 More officer courses followed in the UK at the Royal College of Defense Studies In London. 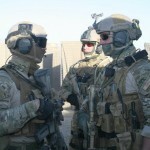 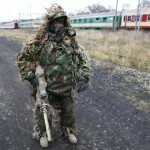 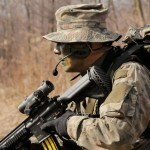 As the past commander of the tier one Special Forces unit GROM, Patalong plays down the operations GROM have conducted. 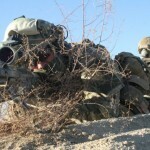 Most of the missions are not open to be discussed, but a couple are now off the classified list. 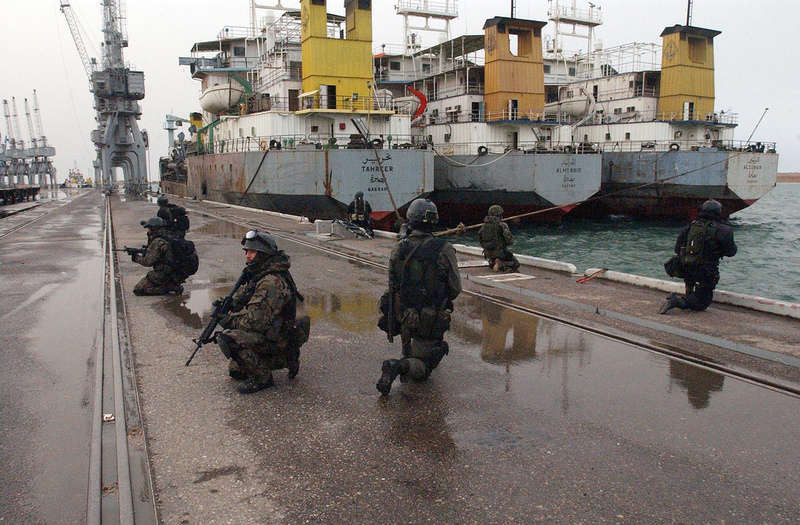 One of these missions was during Operation Iraqi Freedom in 2003, when the unit was given the job of clearing an oil platform and sections of Umm Qasr harbour. 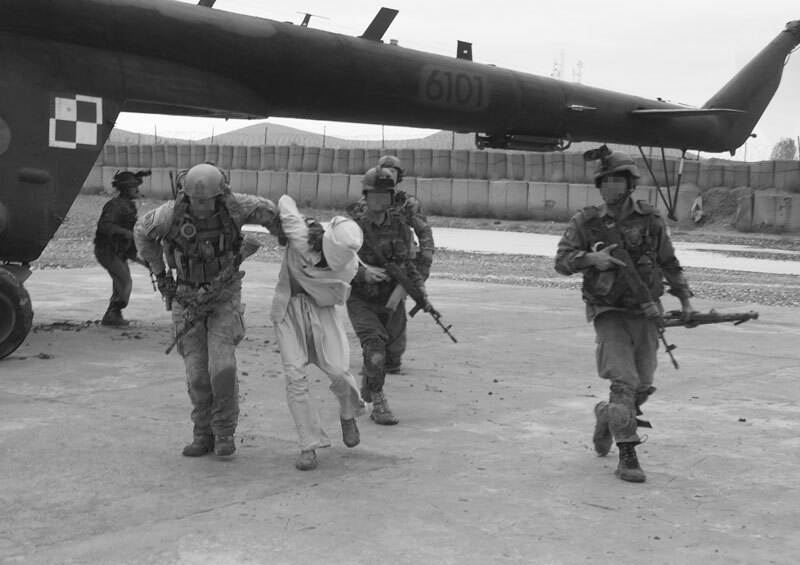 What actually happened is a little bit more involved that what the General lets on. 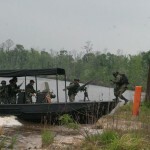 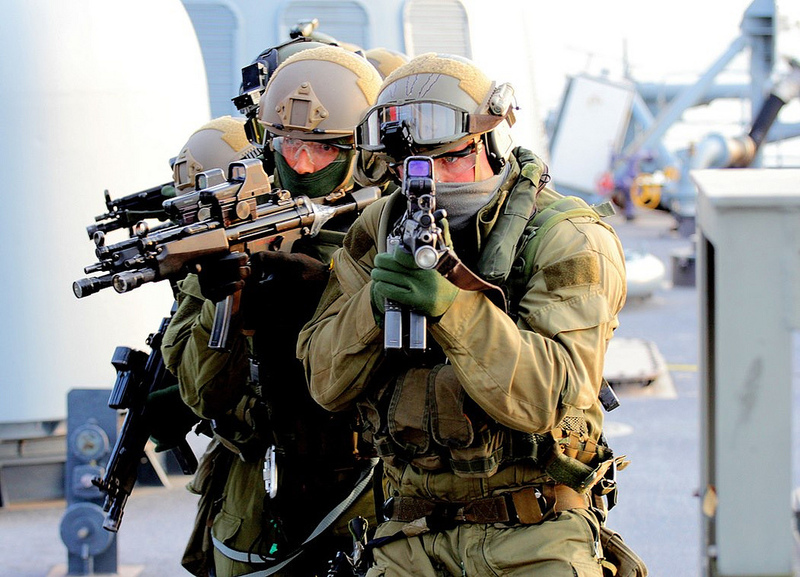 In combined air and sea landings Polish GROM commandos and US SEAL Teams 8 and 10 secured gas and the oil platforms before the Iraqis could destroy them. 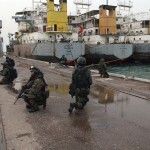 They also captured the Mina Al Bakr Oil Terminal and the Khor Al-Amaya Oil Terminal. Thirty Iraqi prisoners were also taken prisoner. 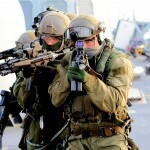 At the same time in an airborne night assault, the British 40 Commandos and US marines landed by helicopter on different oil platforms, encountering light resistance. 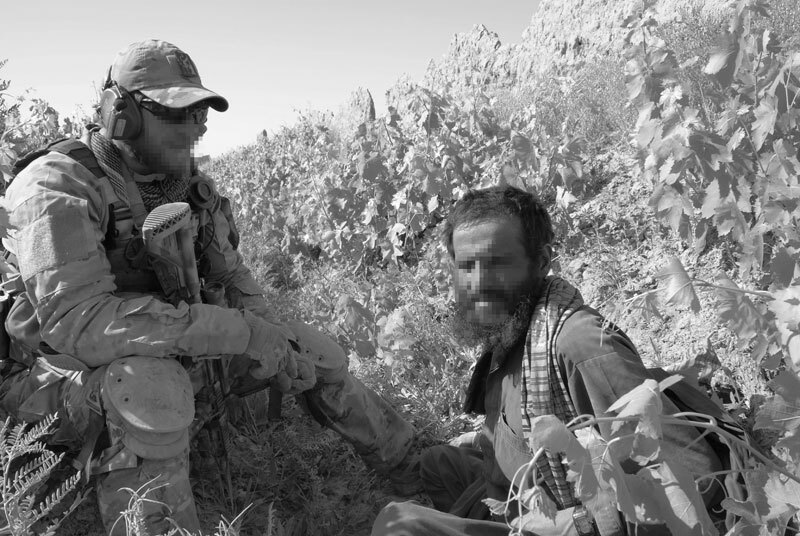 They captured their three strategic objectives without loss and captured over 200 prisoners. 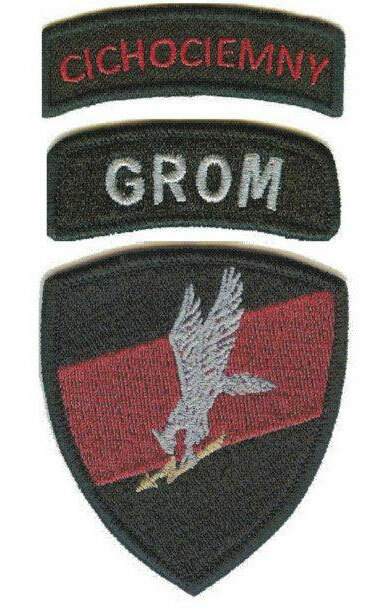 For the invasion of the mainland port, 194 Polish GROM troops joined Australian, British and US forces. 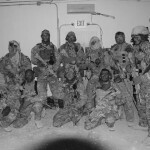 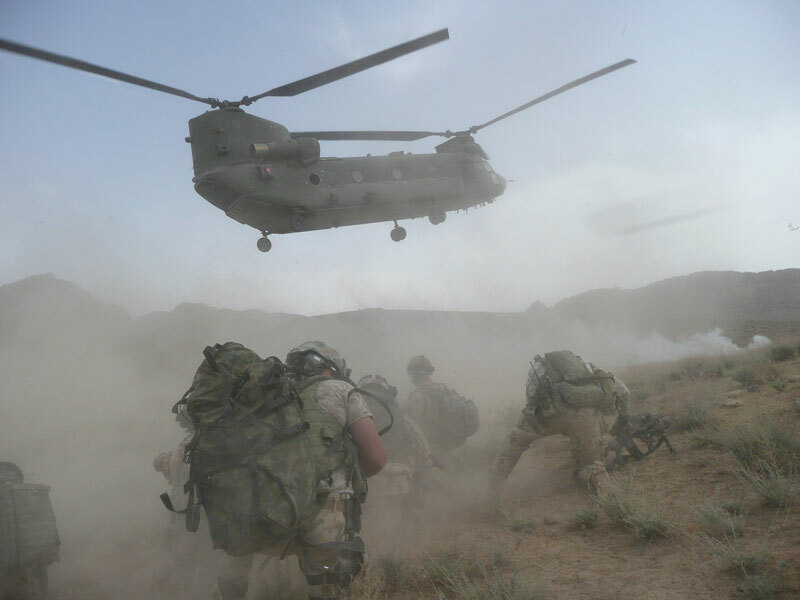 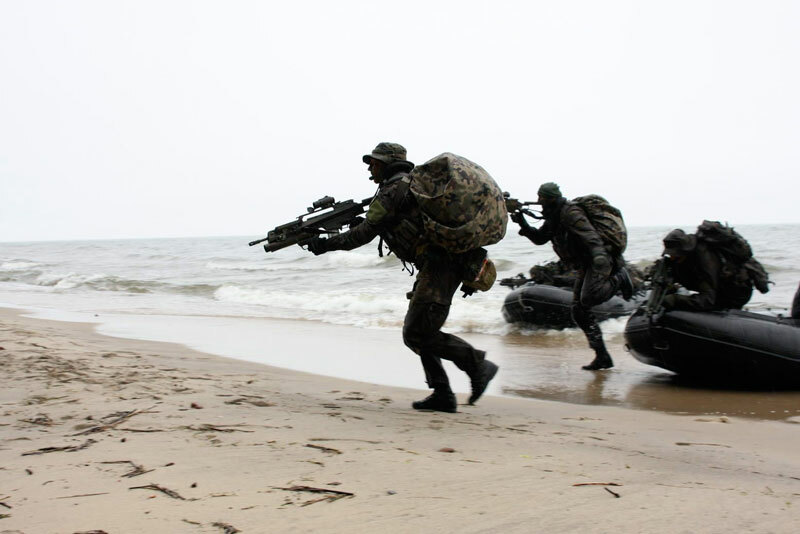 The Poles and the US Marine Corps 15th Marine Expeditionary Unit joined the British 3 Commando to attack the port of Umm Qasr. 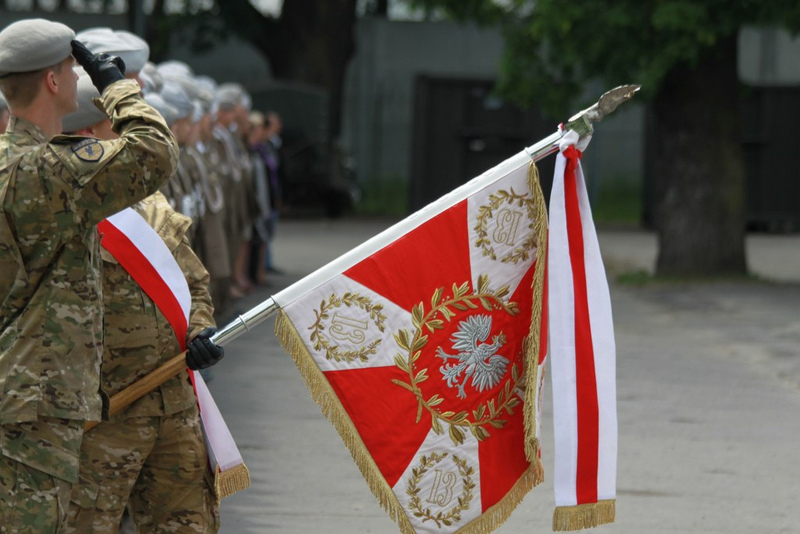 Resistance was stiff in and around the old town and it took the British and Poles several days to take it. 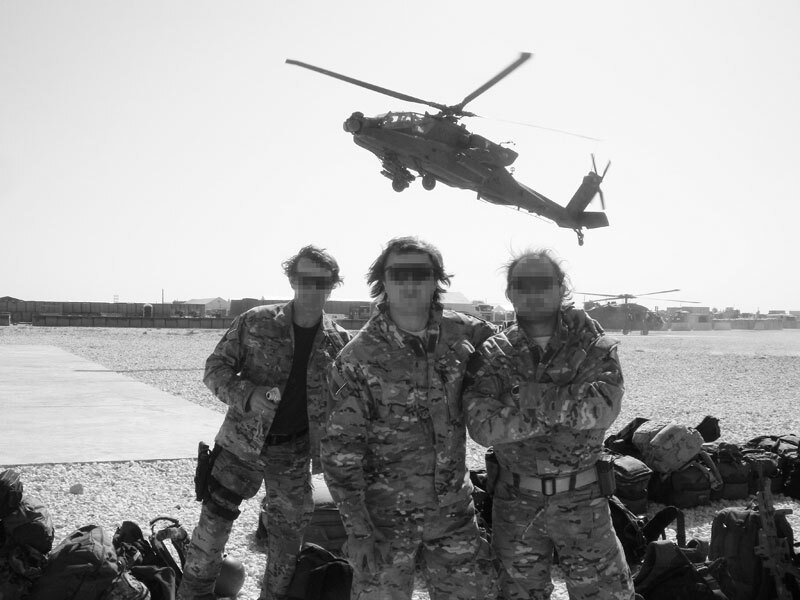 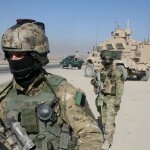 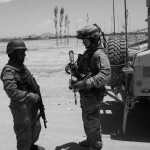 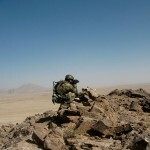 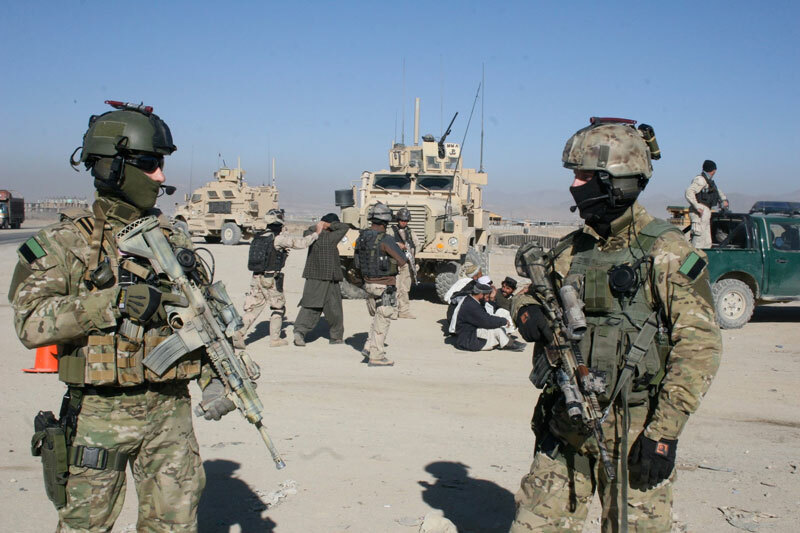 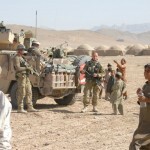 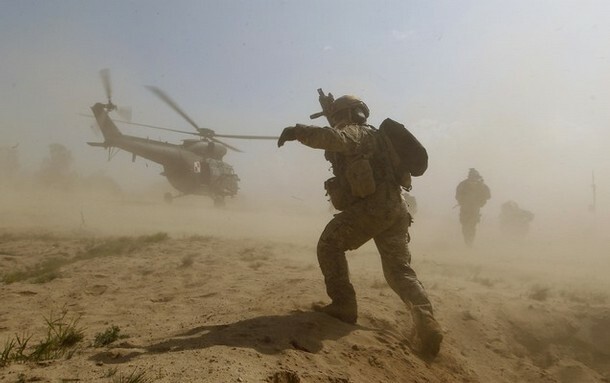 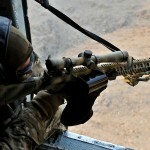 Like the Dutch in the past, the Poles are now conducting Special Operations in Afghanistan. 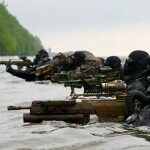 Unlike the Dutch, they have committed two task groups to the counter insurgency job. 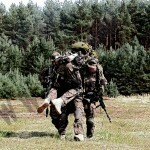 Both however have different roles. 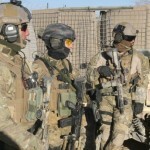 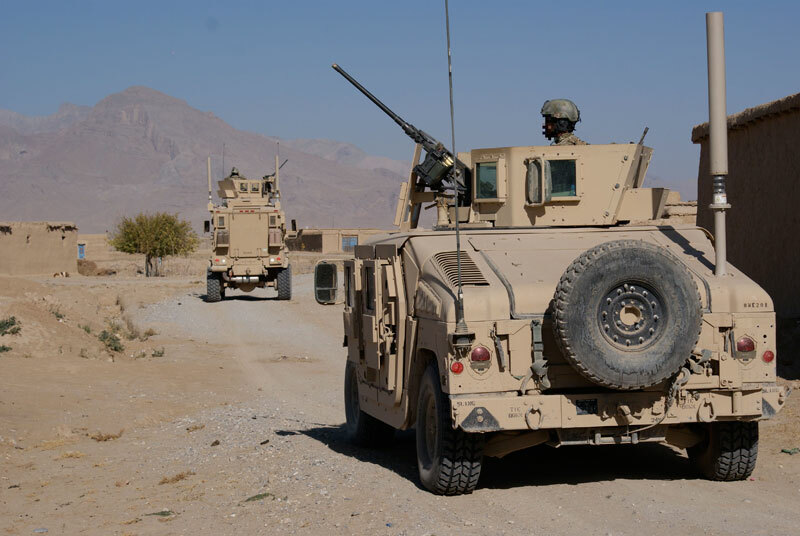 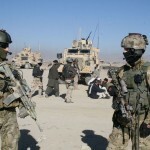 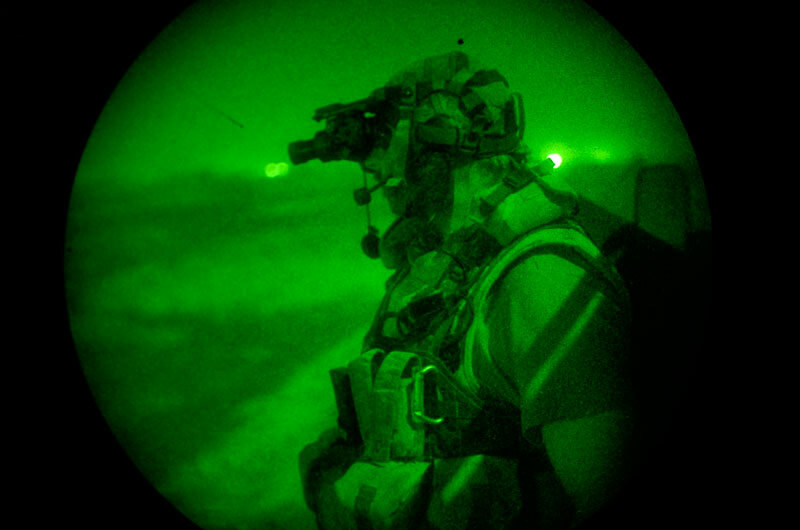 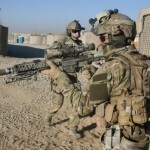 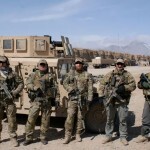 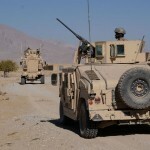 Special Ops in Afghanistan: Patalong: “Task Force 49 and Task Force 50 were different from the very beginning, to start with they are comprised of different units. 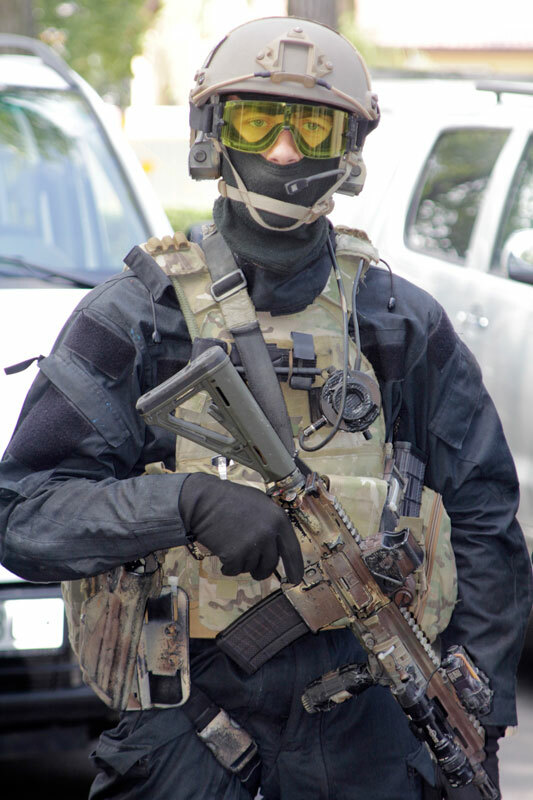 TF 49 is made up of GROM operators and TF 50 is run by JWK commandos. 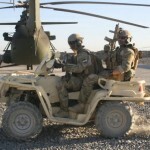 TF 49 is used as a strike unit, they do mainly direct action and operate in the entire Afghan territory. 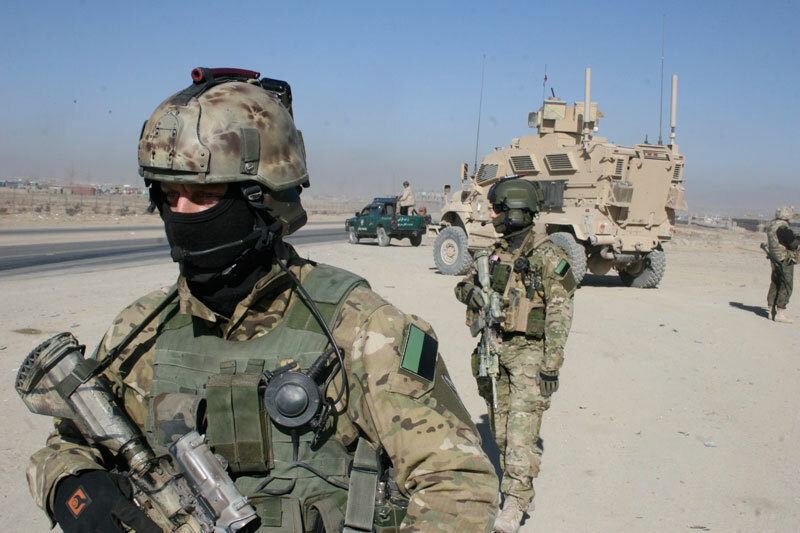 TF 50 is a bit different, they focus on military assistance, who prepare and train the two TRCs in Paktika and Gaszni provinces and support the main Polish task group. 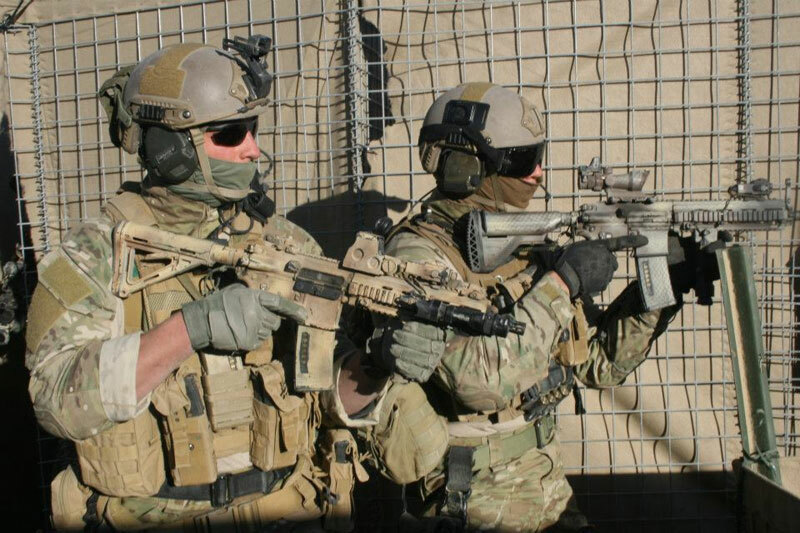 It doesn’t mean that that TF 50 doesn’t do direct action, they have to, but hostage rescue and direct action are the main tasks of TF 49. 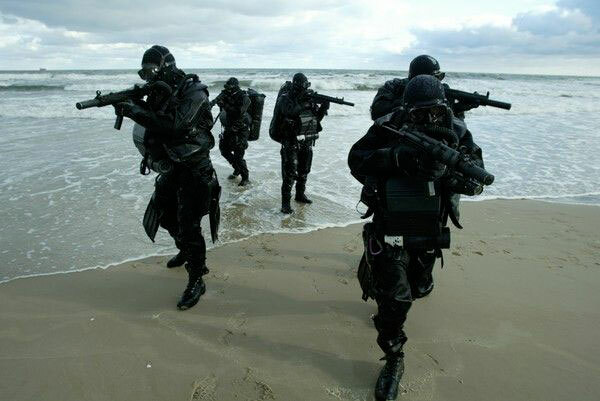 If they are not available, which can happen. 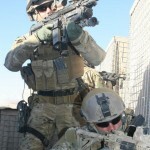 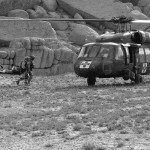 TF 50 goes in.” (see hostage rescue story TF 50, earlier published on this website). 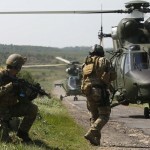 Euro 2012: Of course last summer, one of the world’s largest sporting events took place in Poland, Euro 2012. 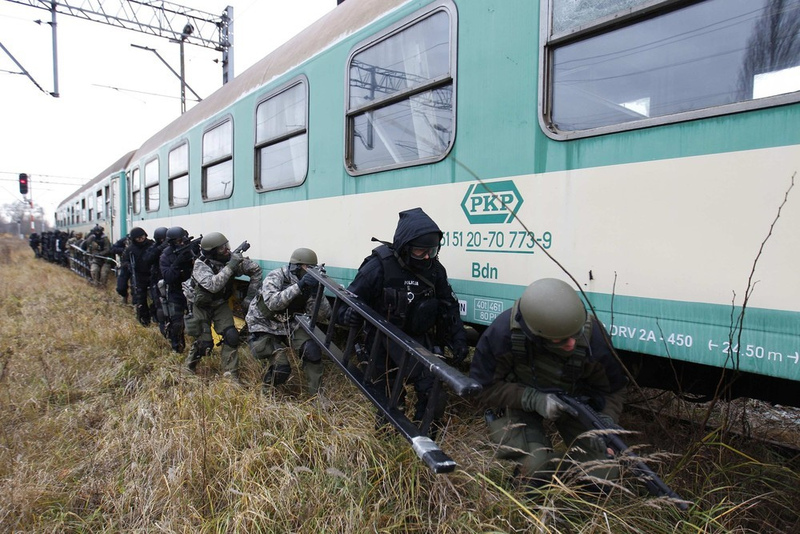 Polish Special Operations Forces were on hand to help out. 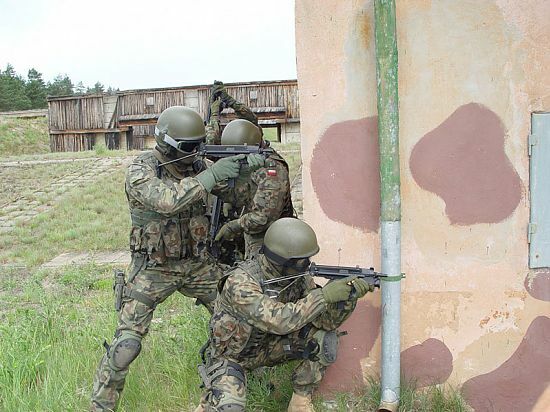 But what were they doing? 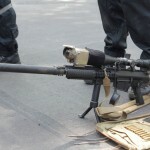 Patalong: “We were asked to reinforce the police. 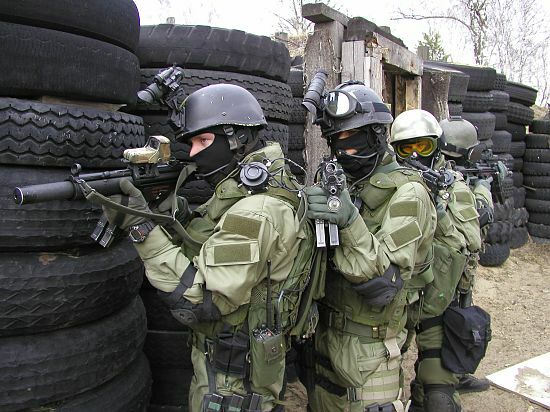 Any incident considered a terrorist incident then we would be used. 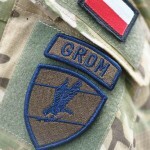 All units involved are in a high state of readiness, we have two squadrons of GROM and two squadrons from FORMOZA ready. 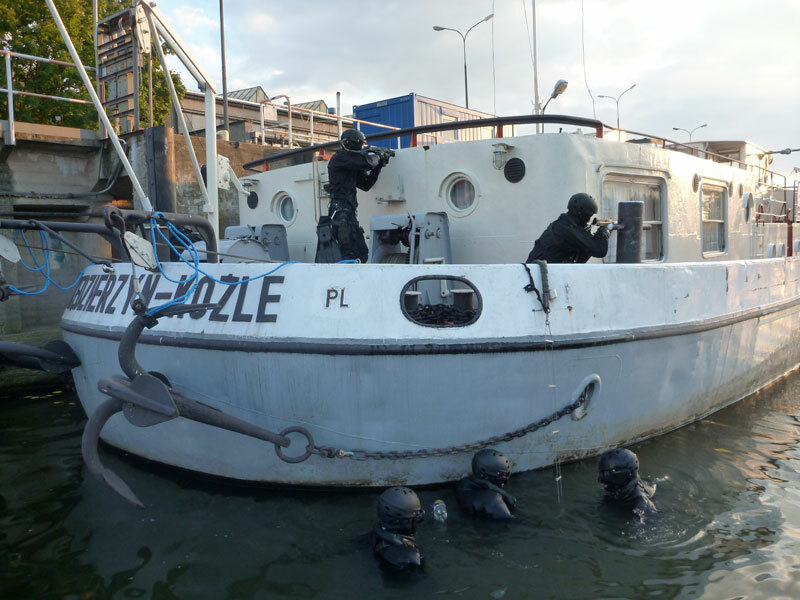 Our two main tasks were to reinforce police on land and sea and deal with any explosives.” Thankfully, Euro 2012 went smoothly and the soft touch of the Polish riot police easily handled the few small skirmishes with hooligans. 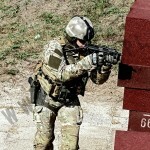 Mr Polko was not from begining with SF unit GROM. 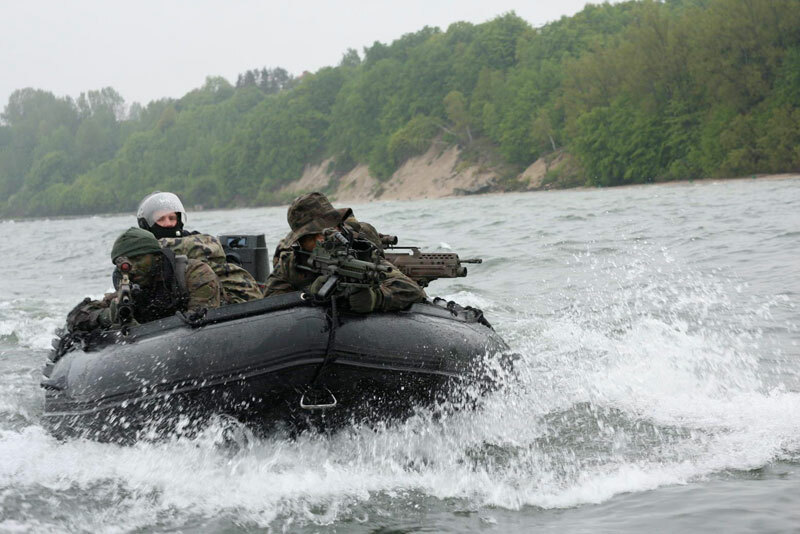 There was an exercise two times between Dutch unit BBE and Polish GROM. 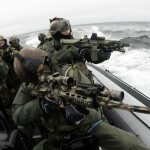 SF CO should know that.